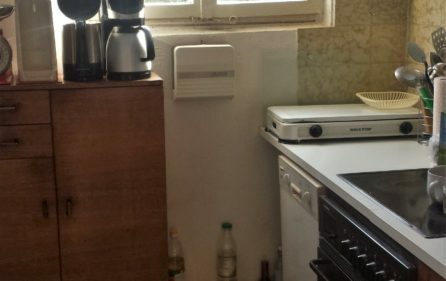 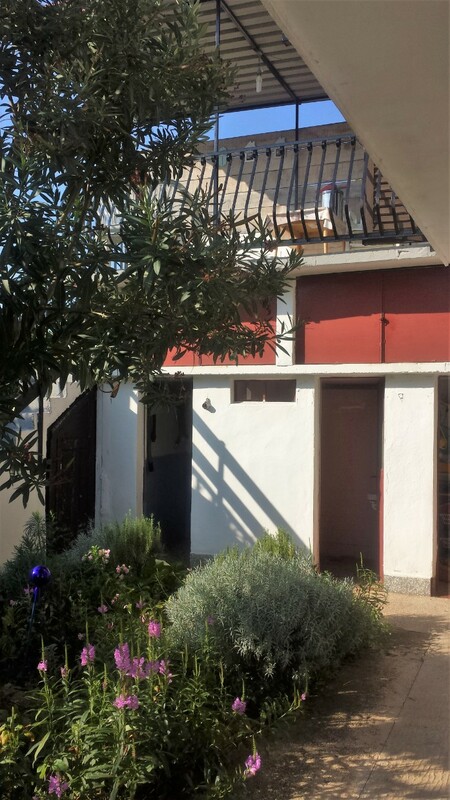 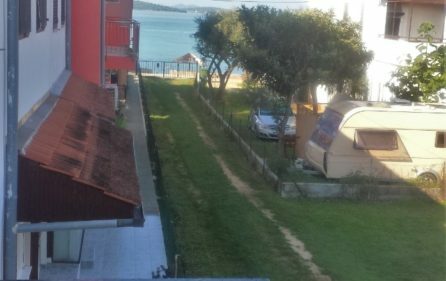 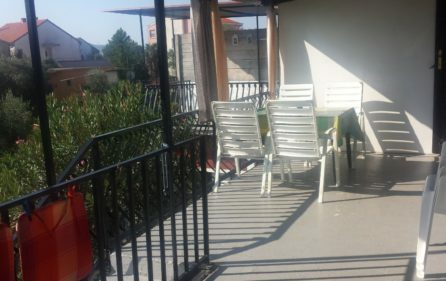 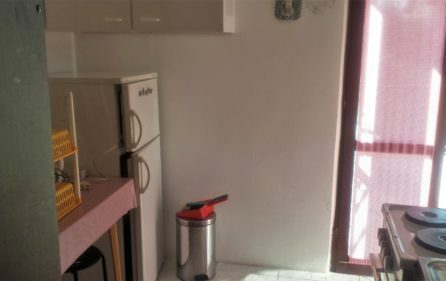 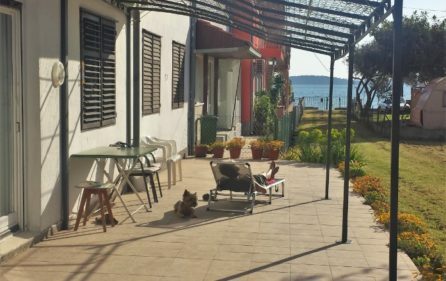 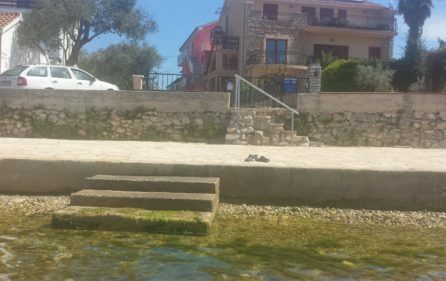 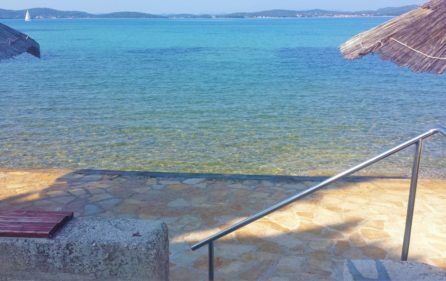 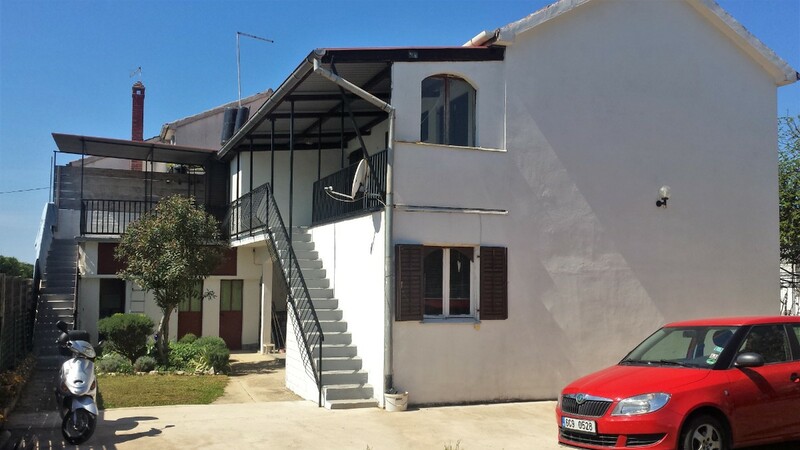 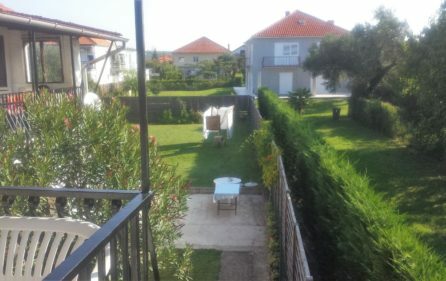 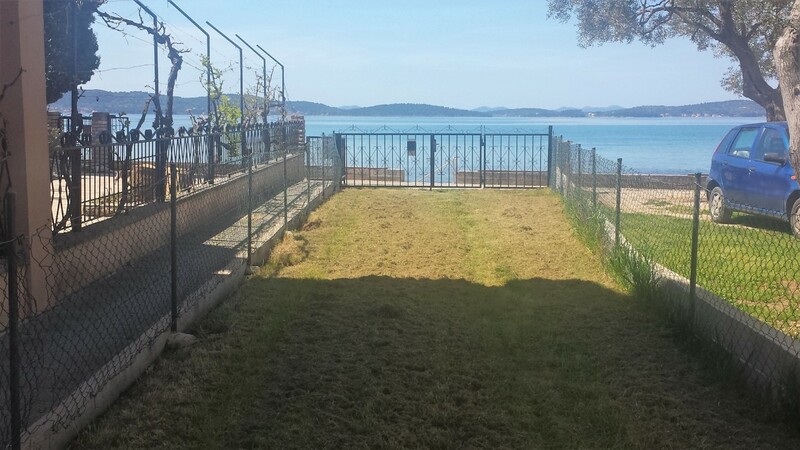 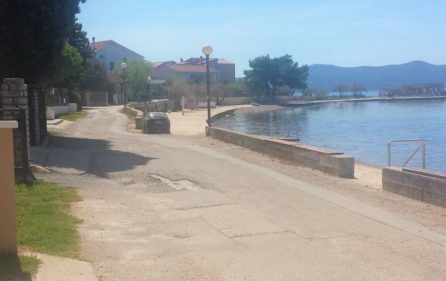 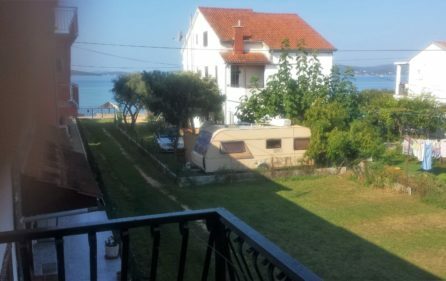 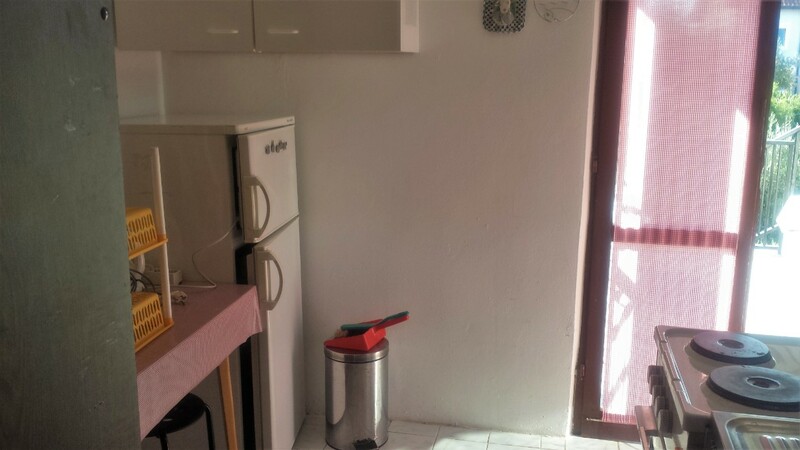 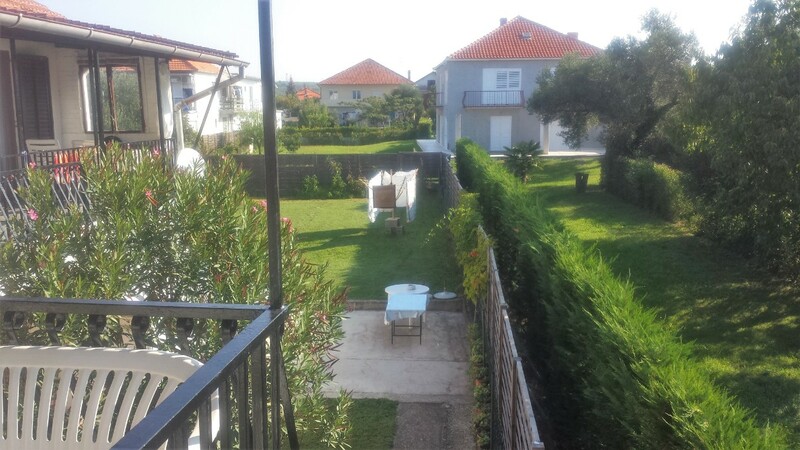 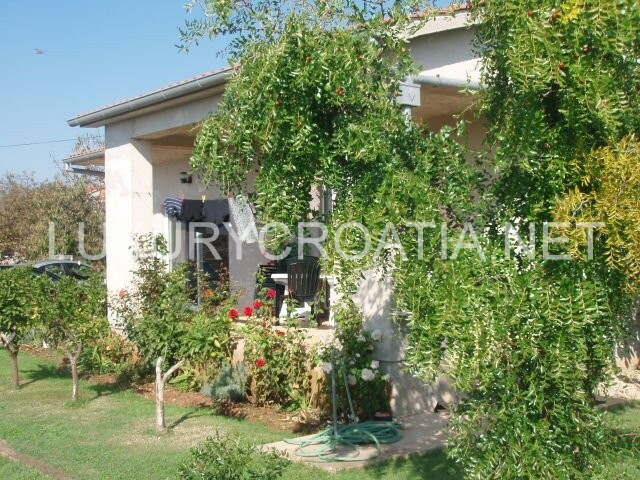 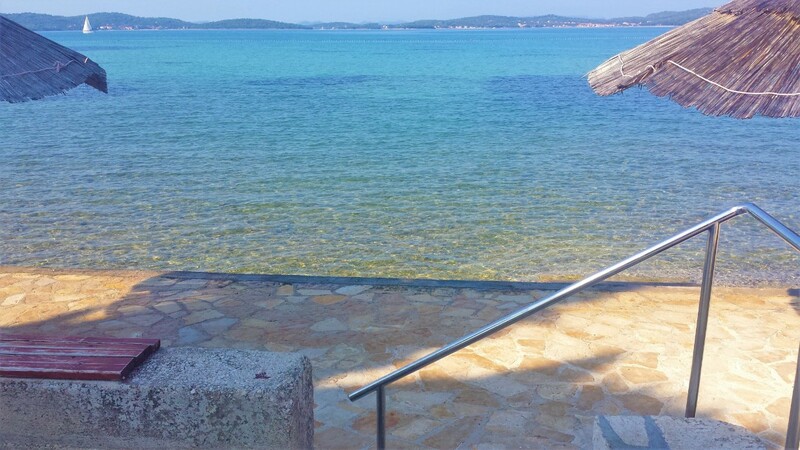 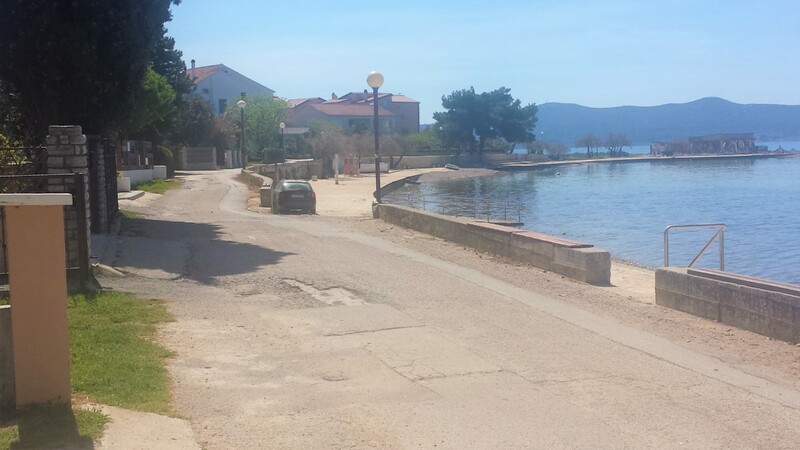 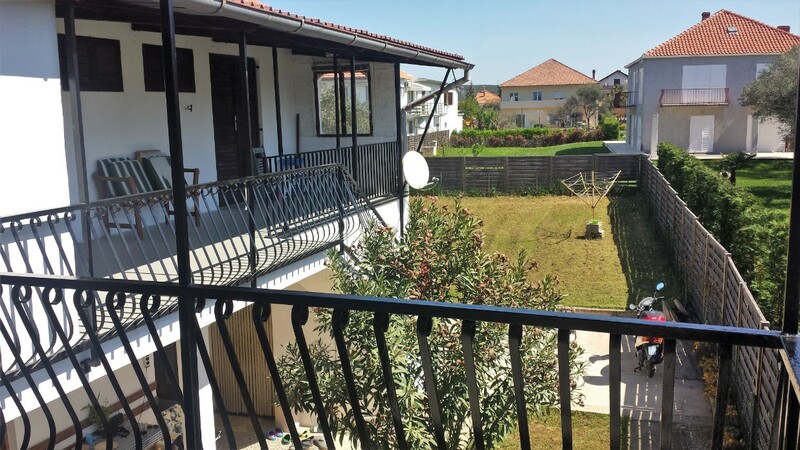 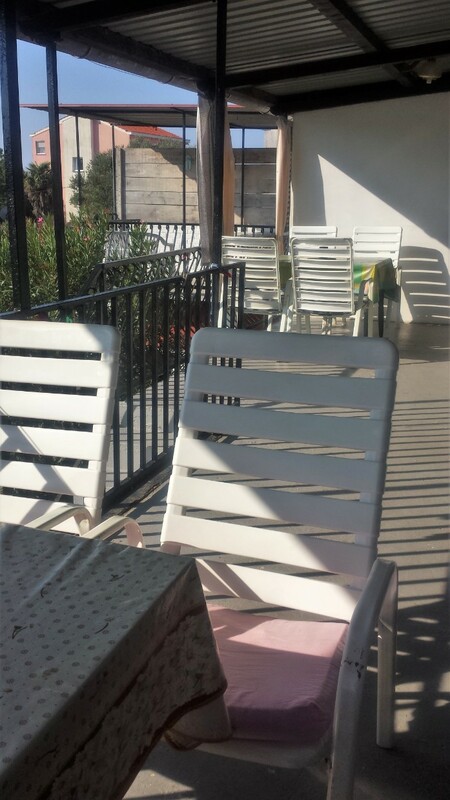 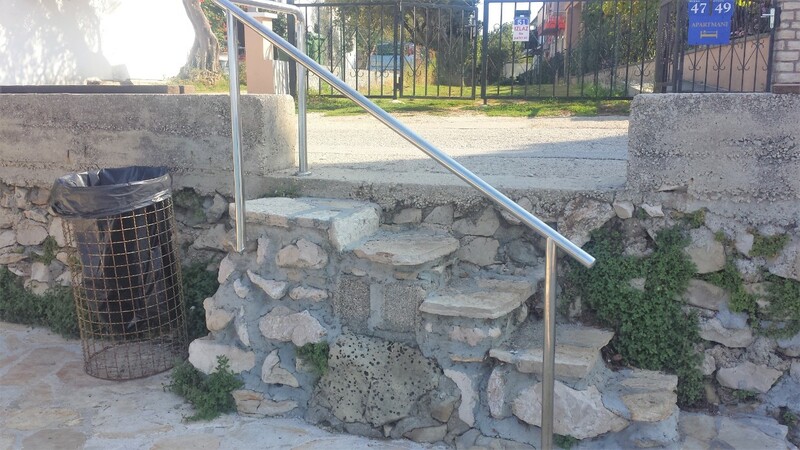 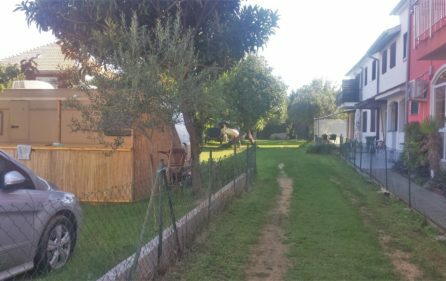 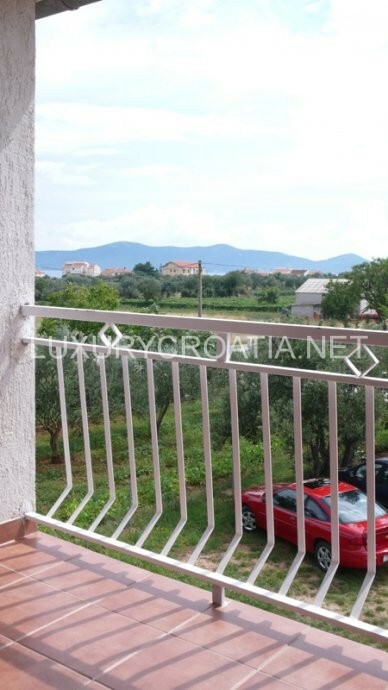 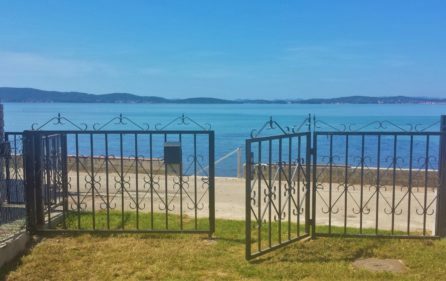 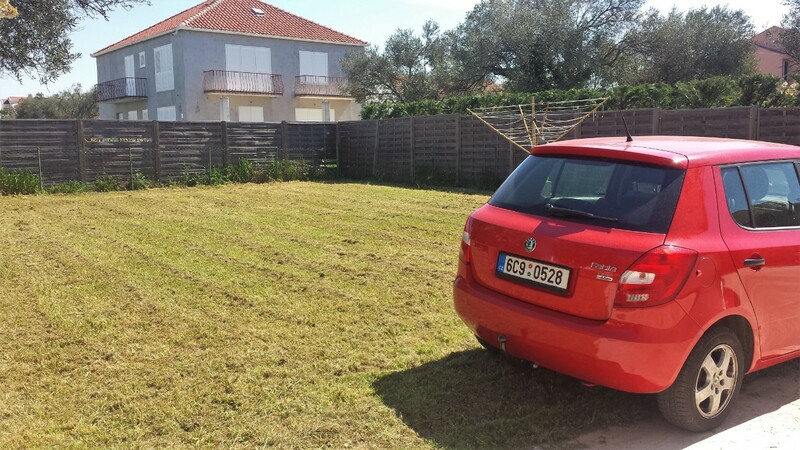 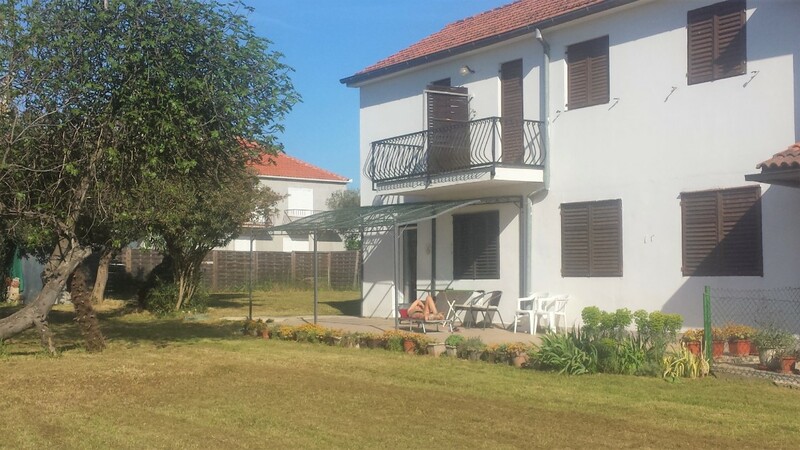 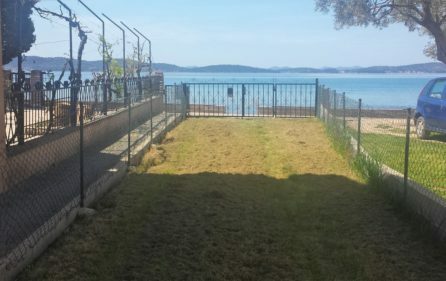 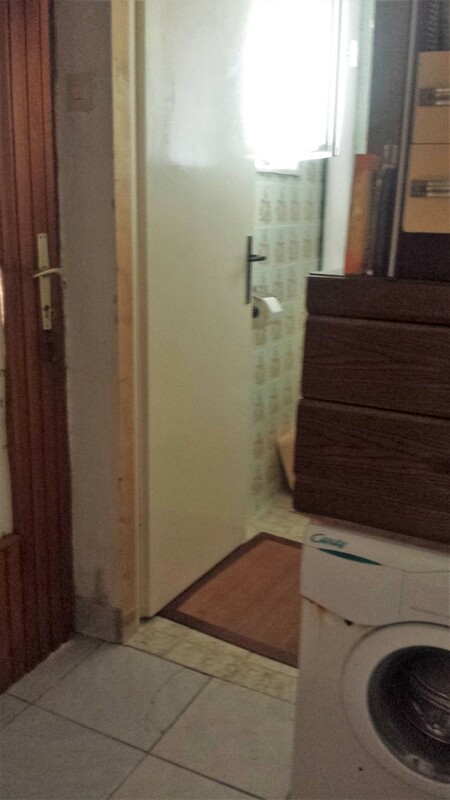 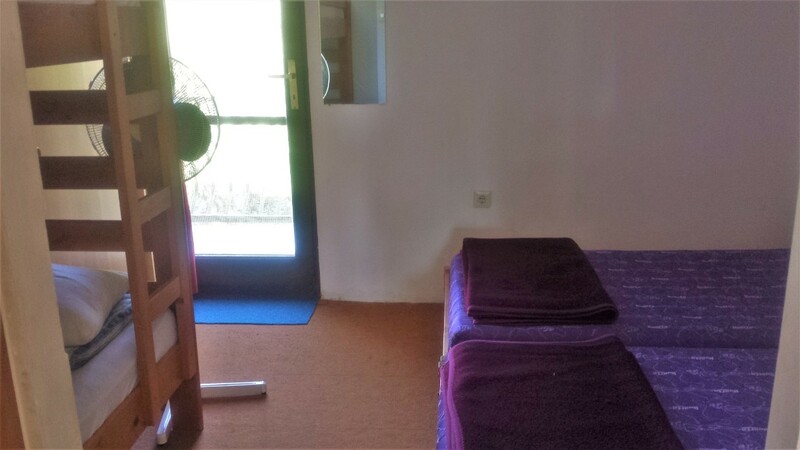 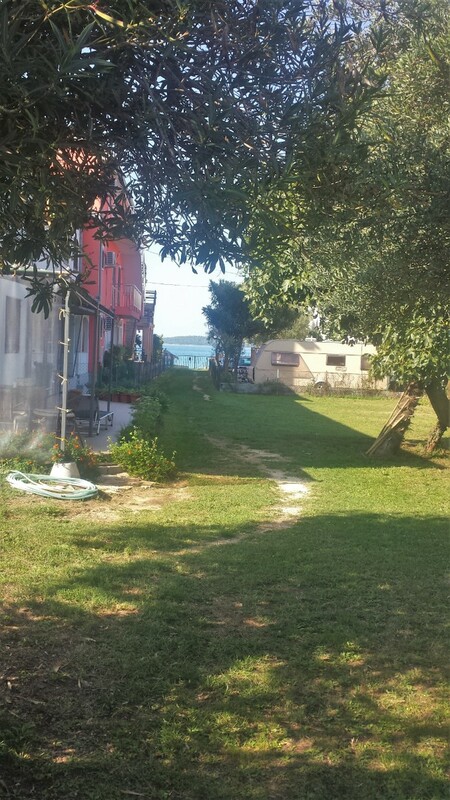 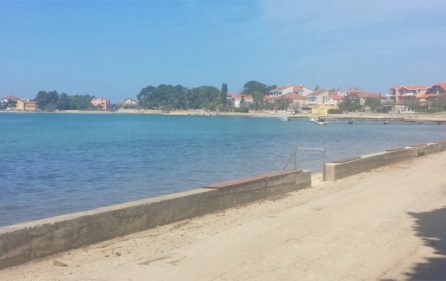 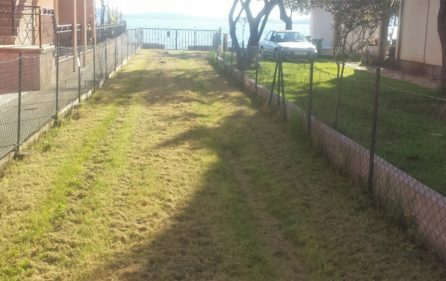 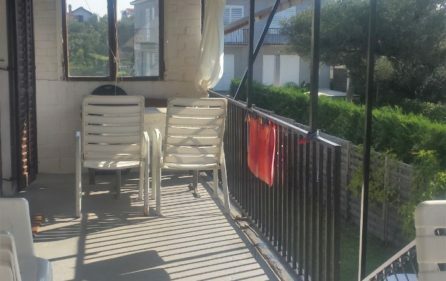 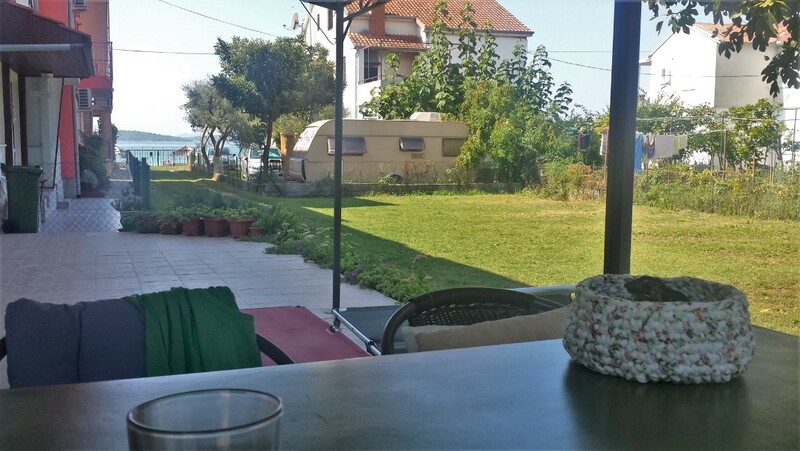 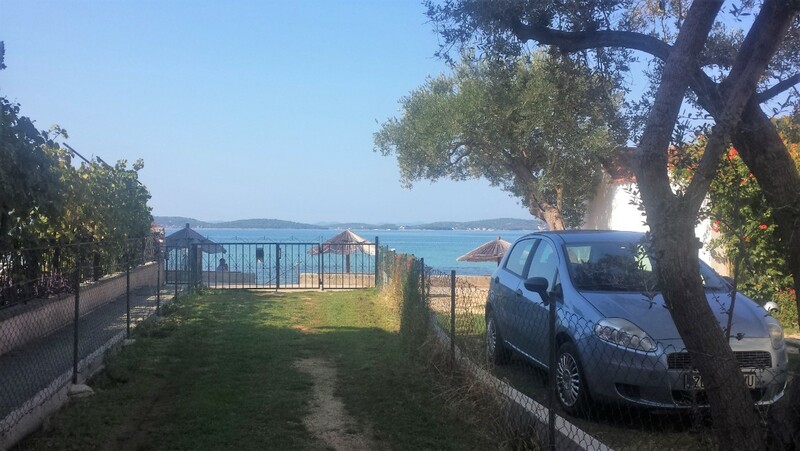 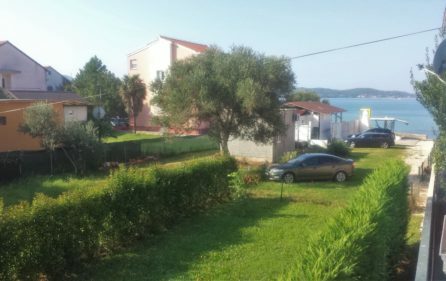 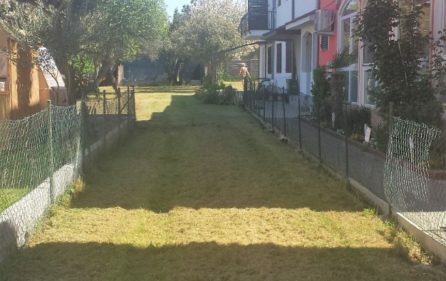 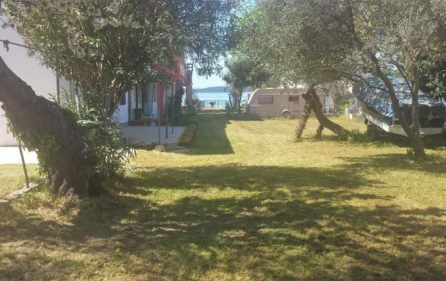 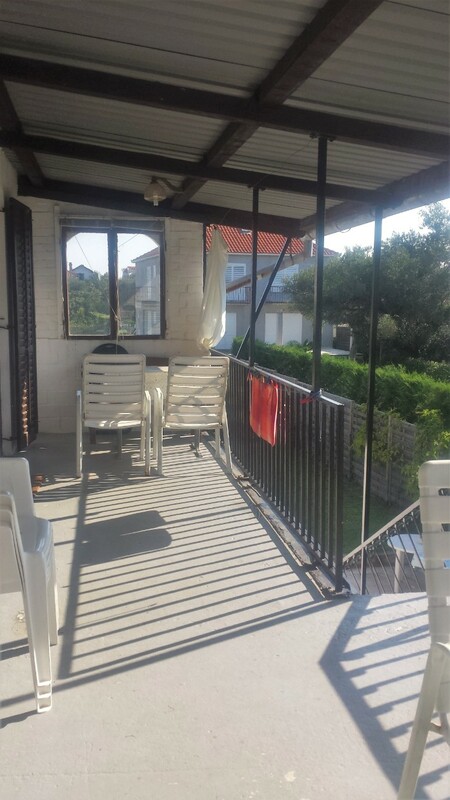 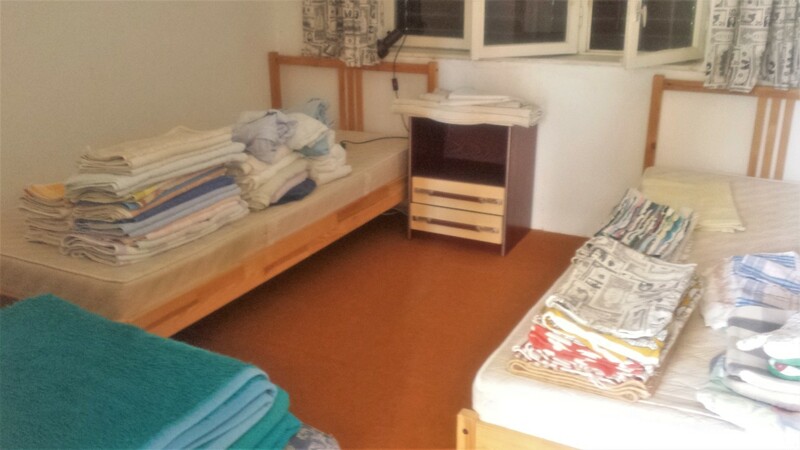 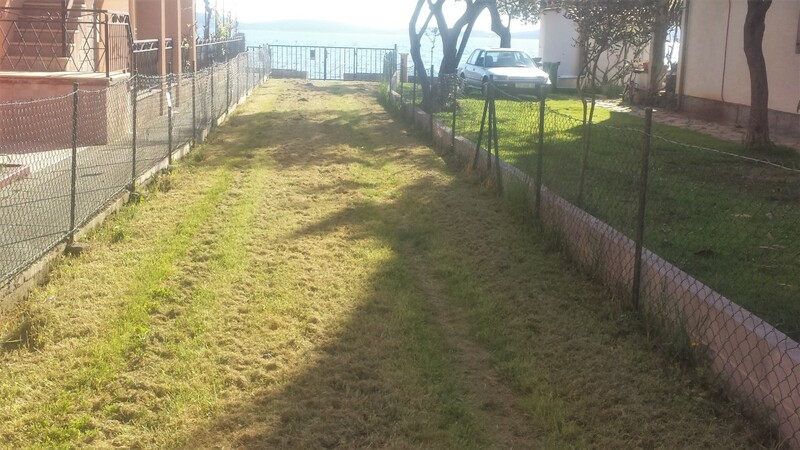 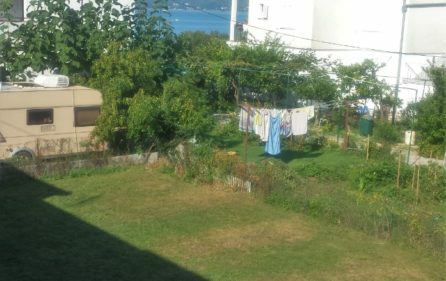 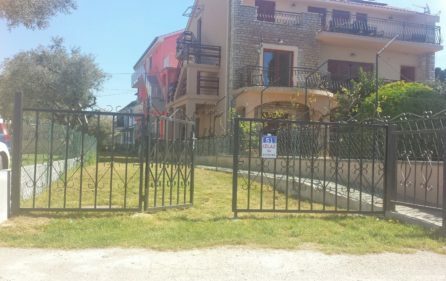 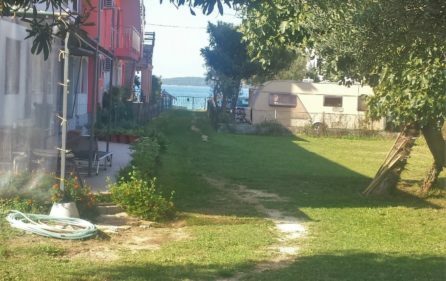 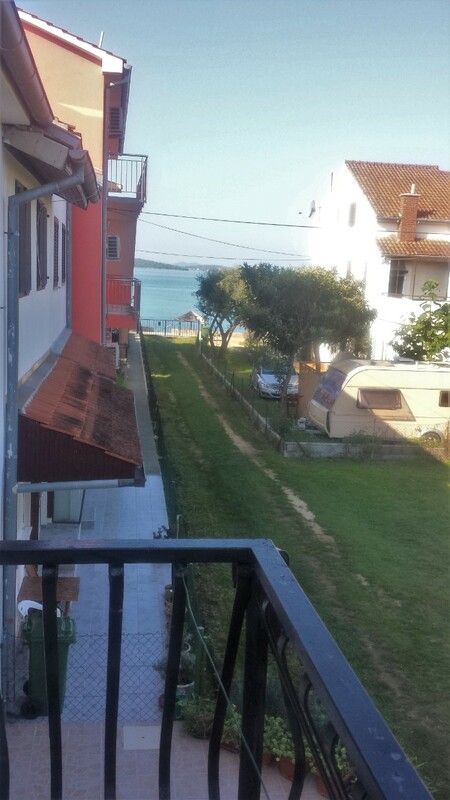 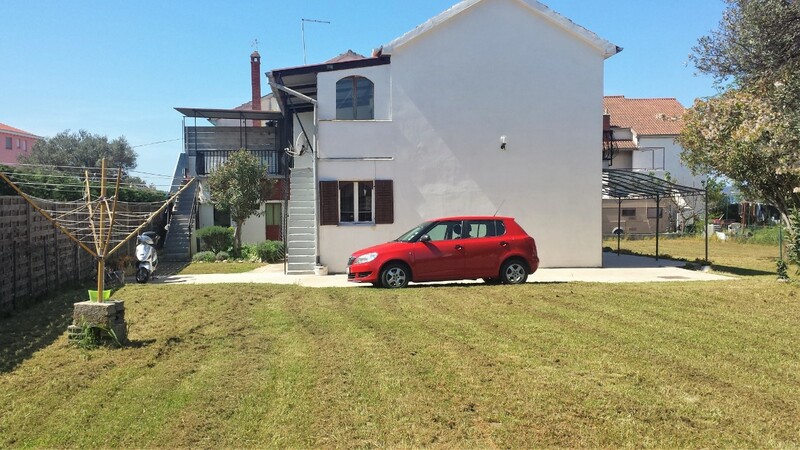 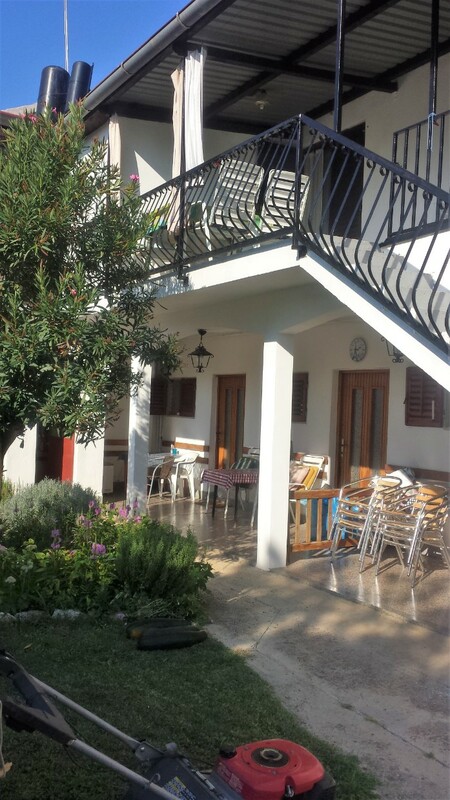 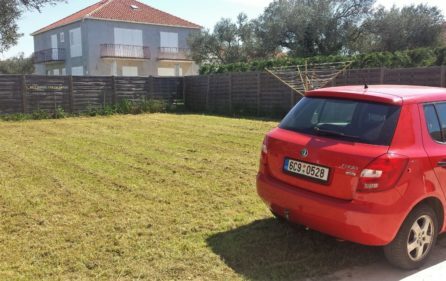 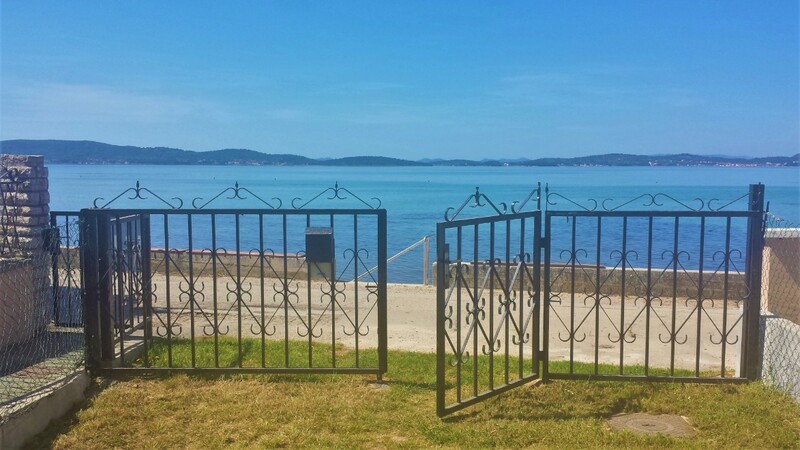 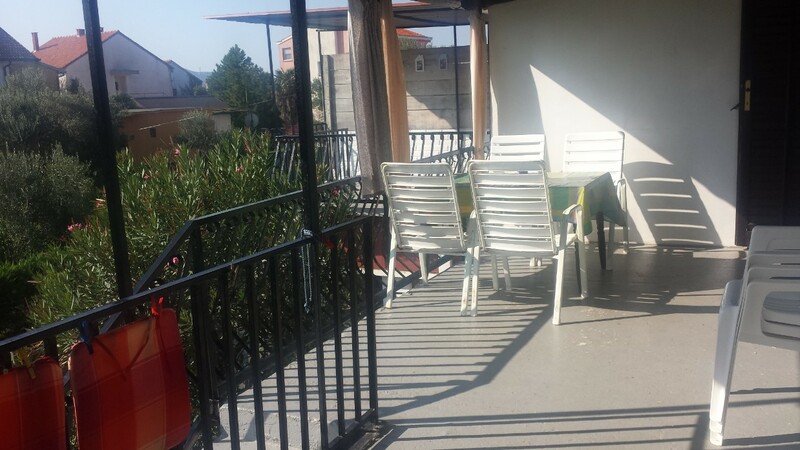 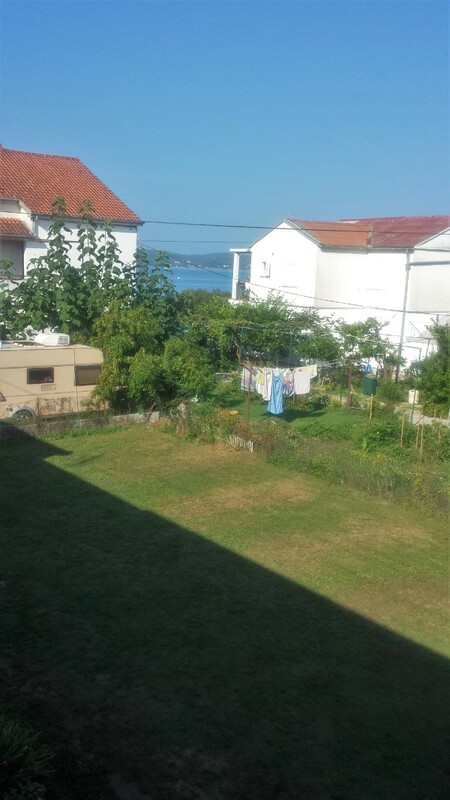 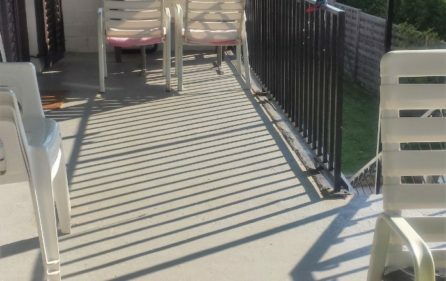 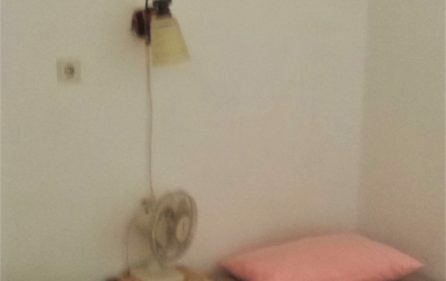 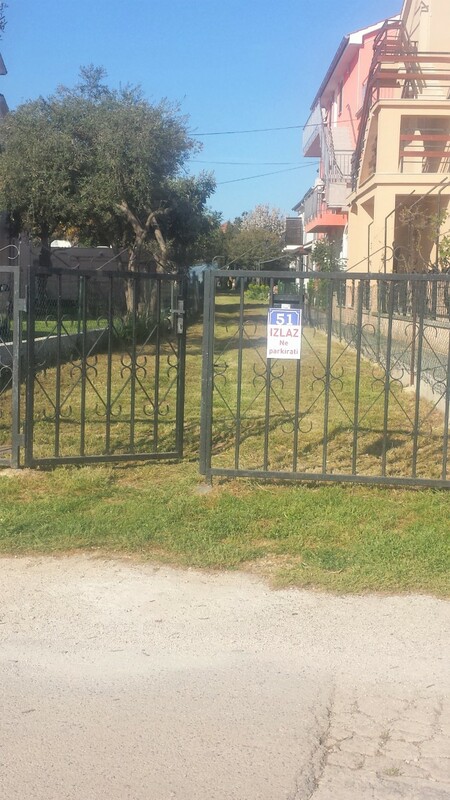 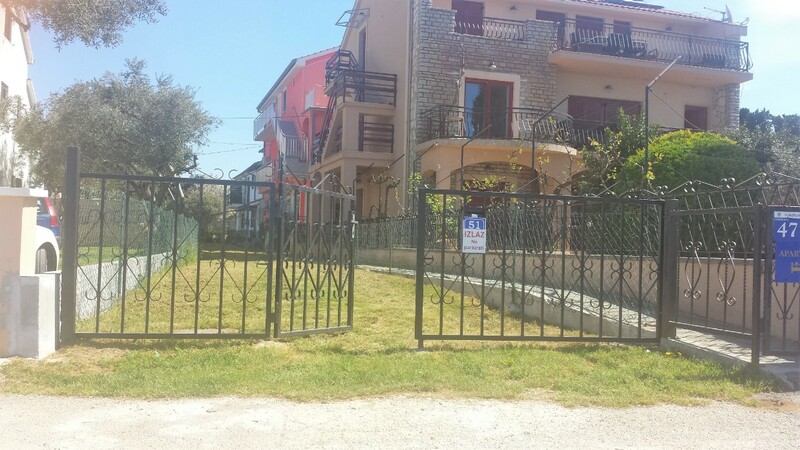 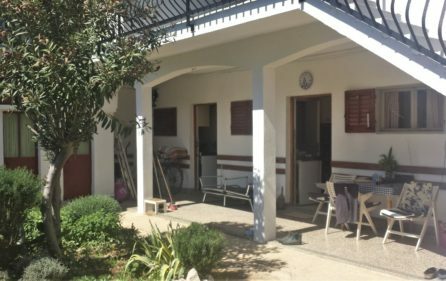 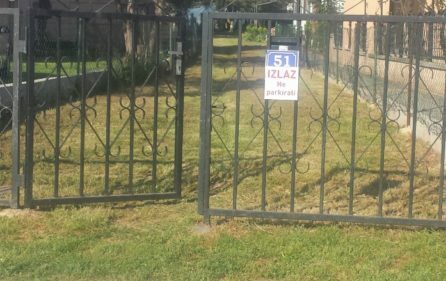 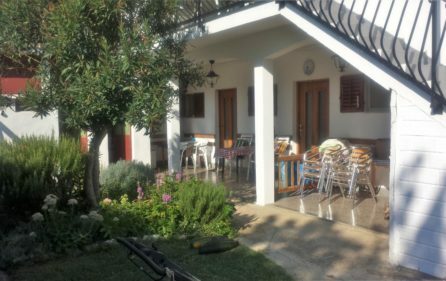 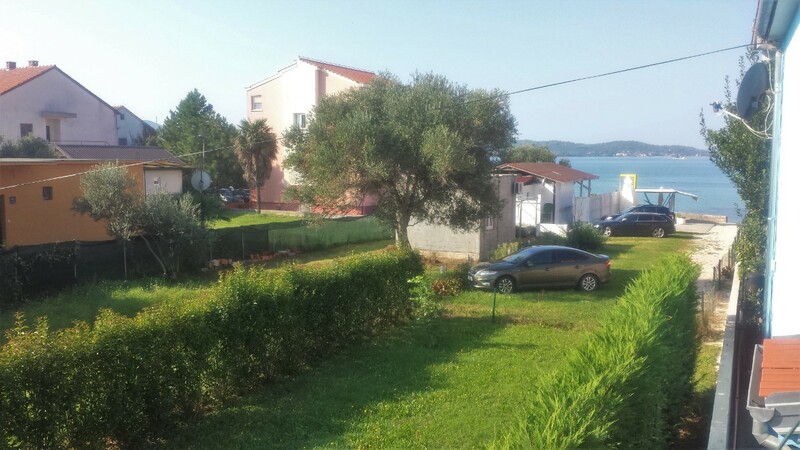 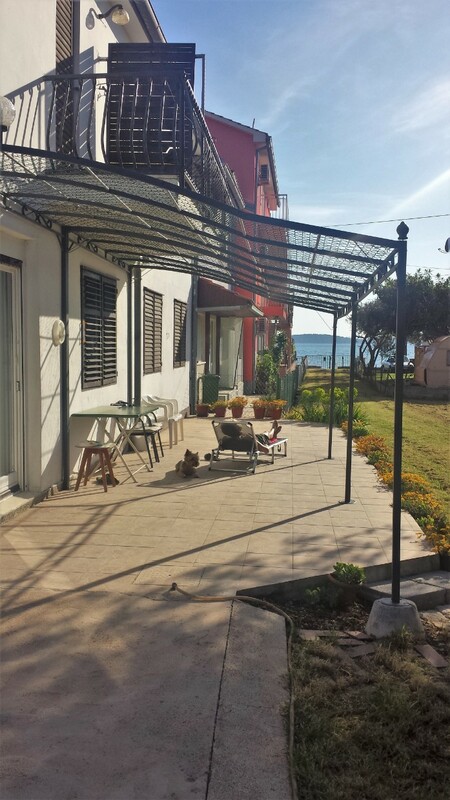 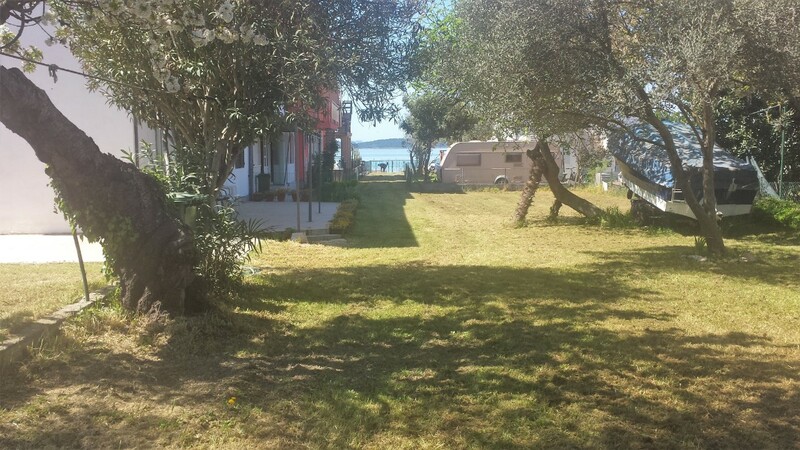 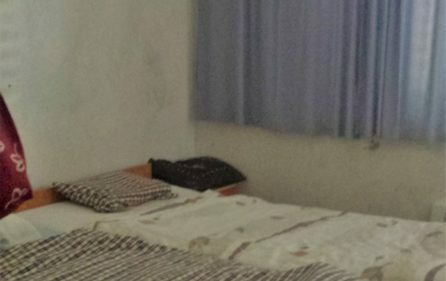 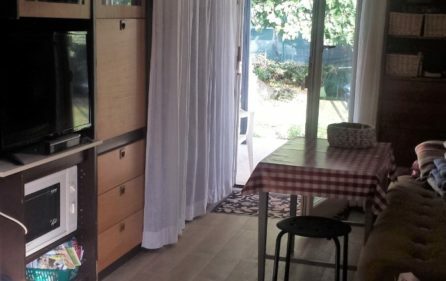 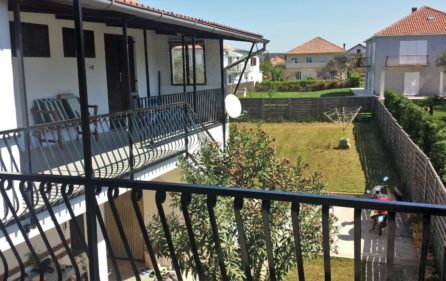 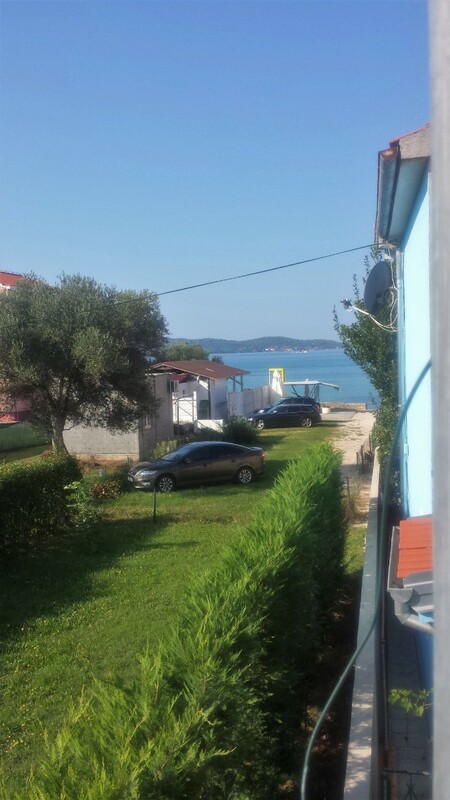 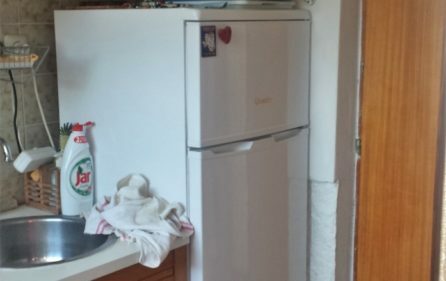 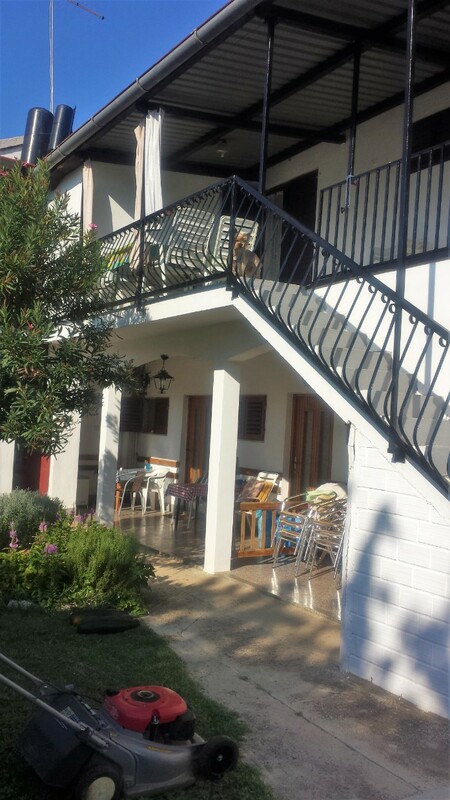 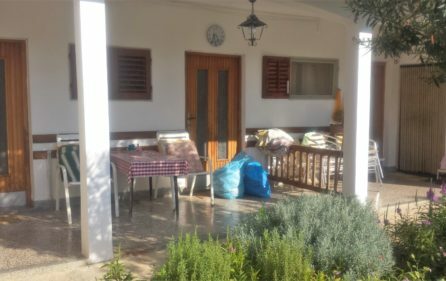 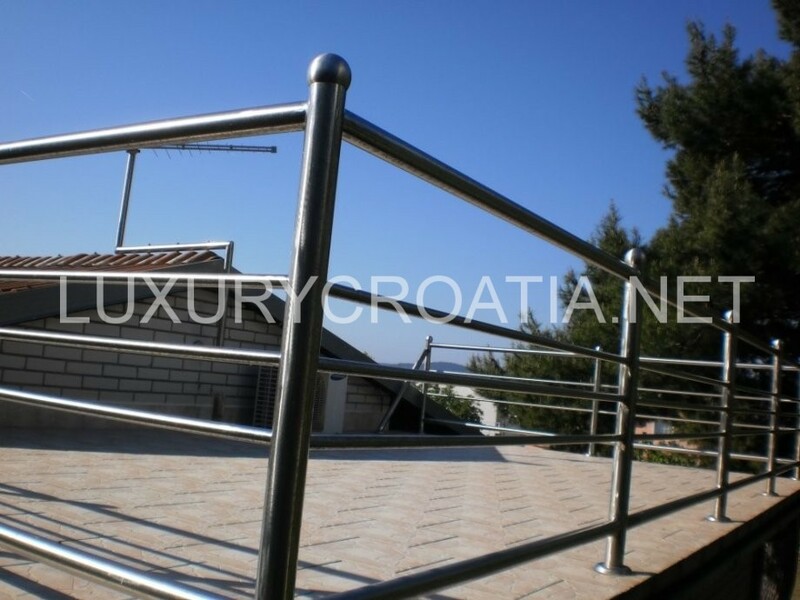 This house for sale on the beach in Sukosan Zadar consists of 6 apartments in the rental business. 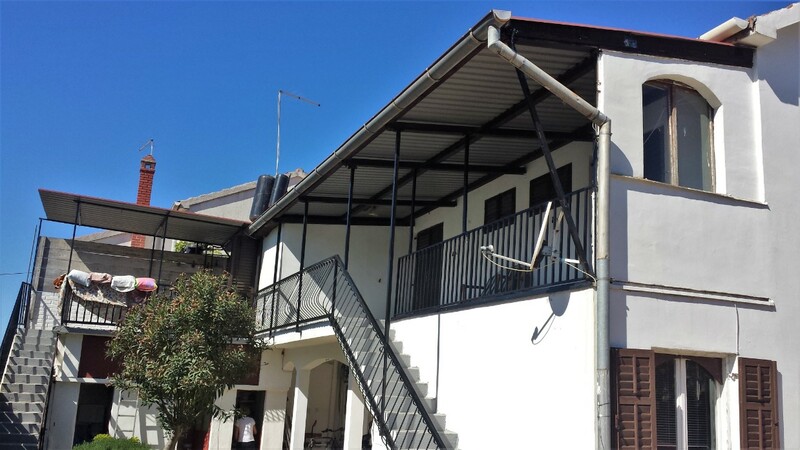 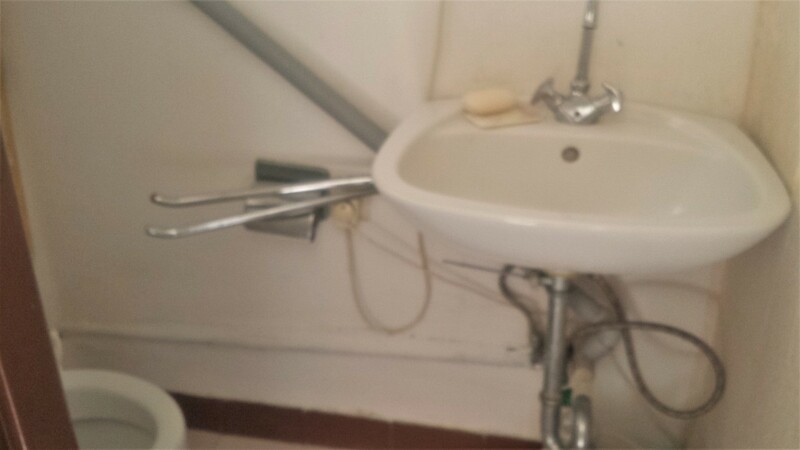 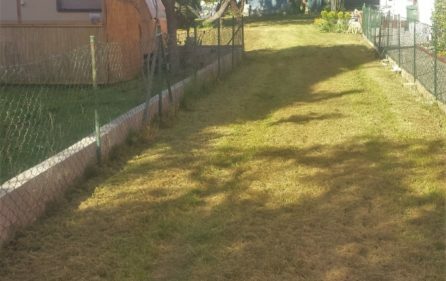 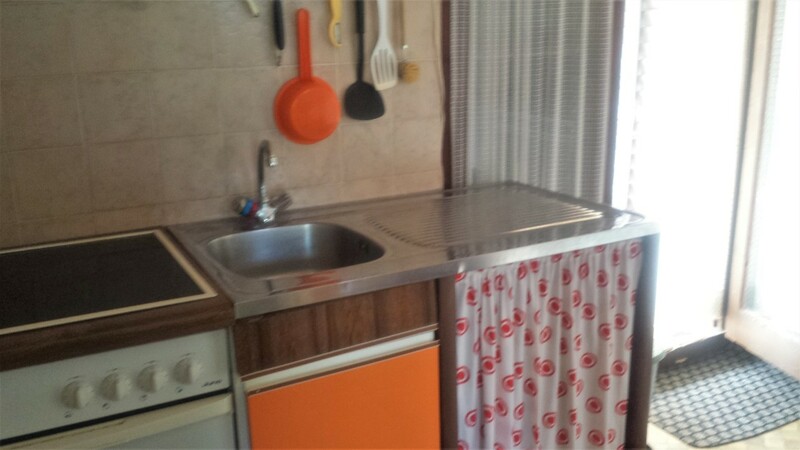 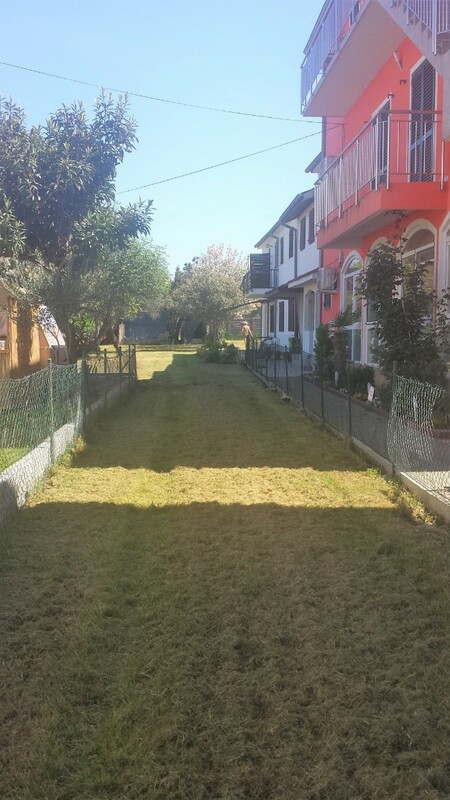 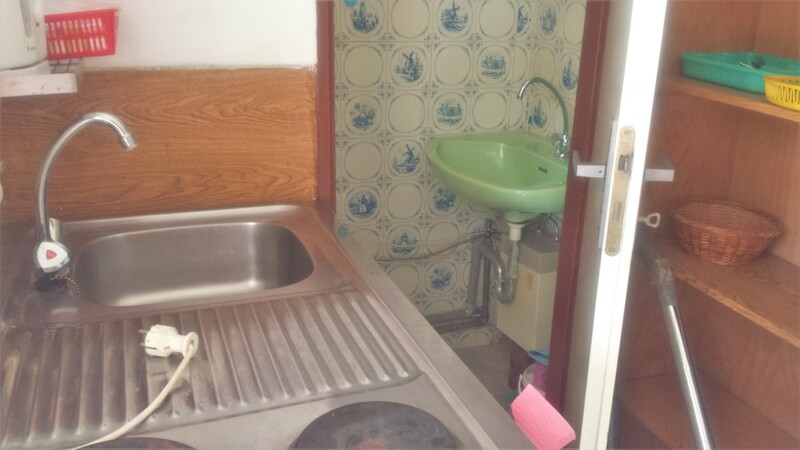 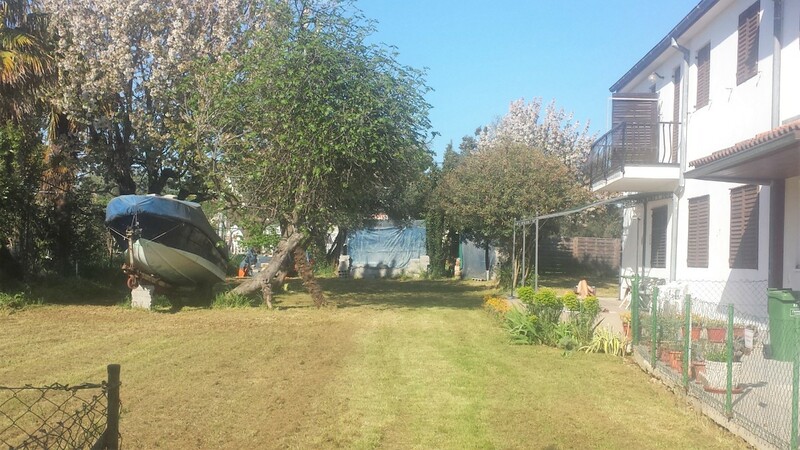 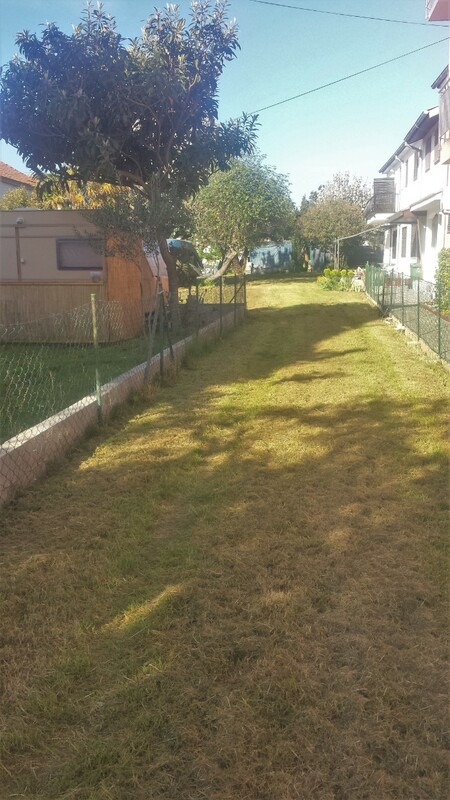 House is semi-detached but enjoys 1136 square meters of land, so it is possible to construct another house, or even small boutique hotel, or building with flats for sale or for rent. 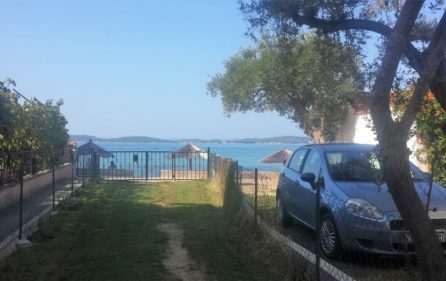 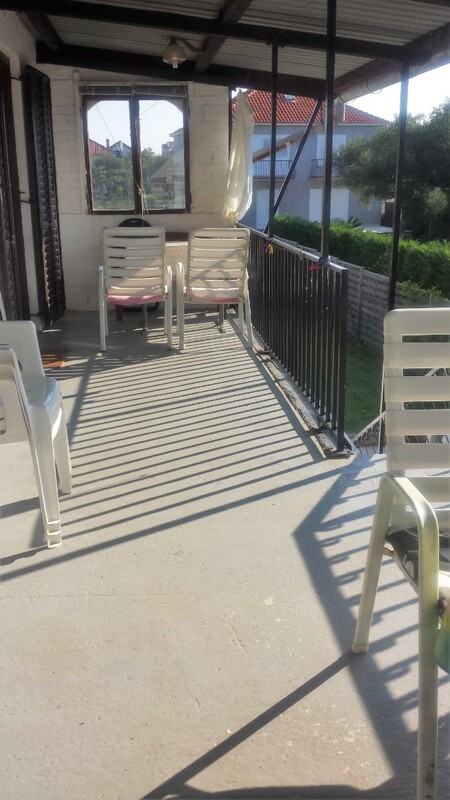 There is direct car access from the beach to the house. 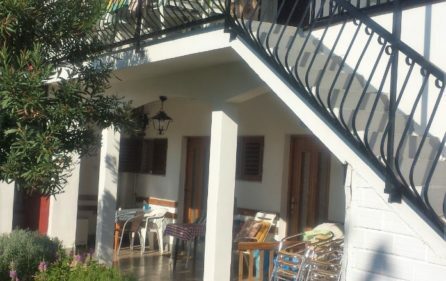 House is located on the beach of Djecji raj in center of Sukosan. 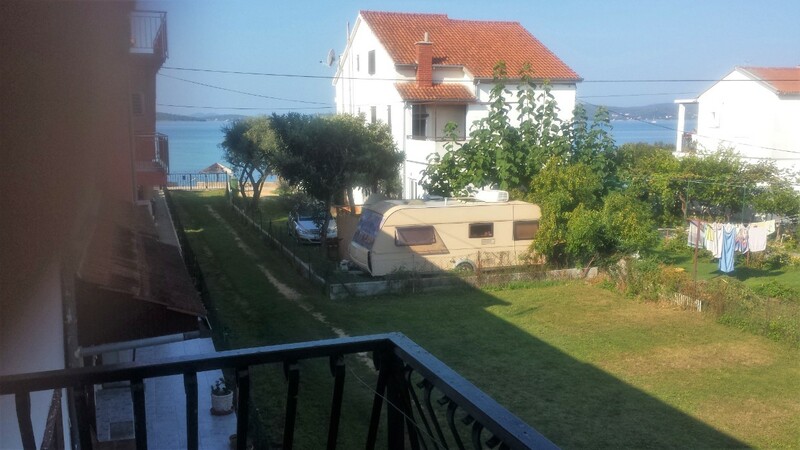 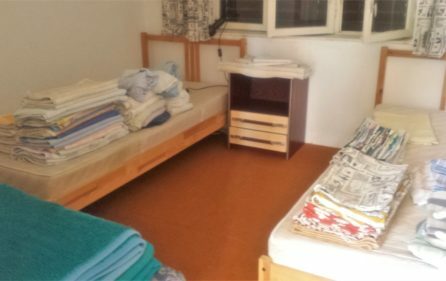 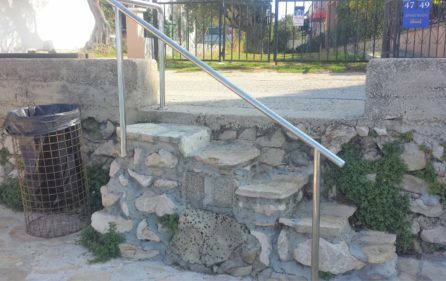 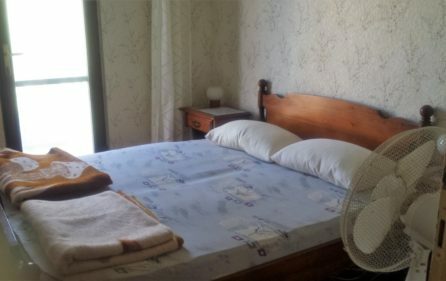 Beach Djecji raj is flat and ideally for kids and handicapped persons. 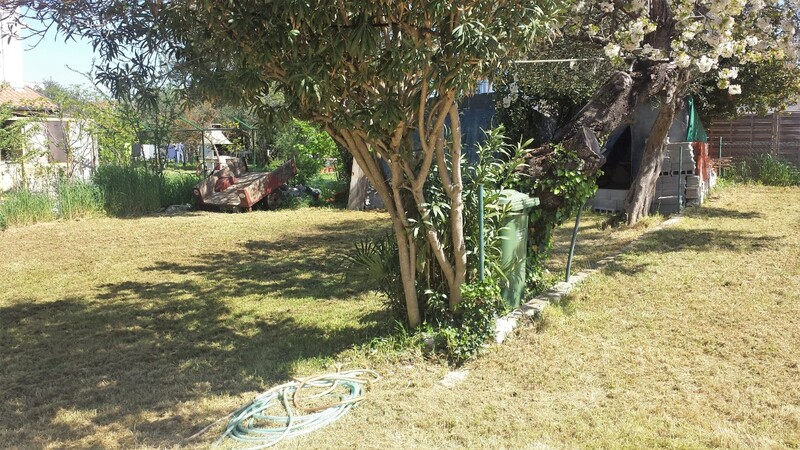 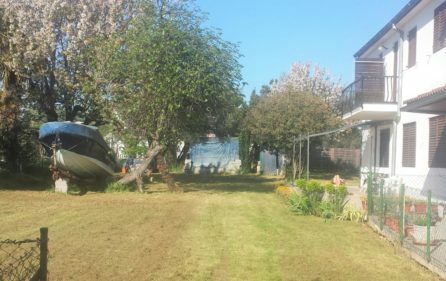 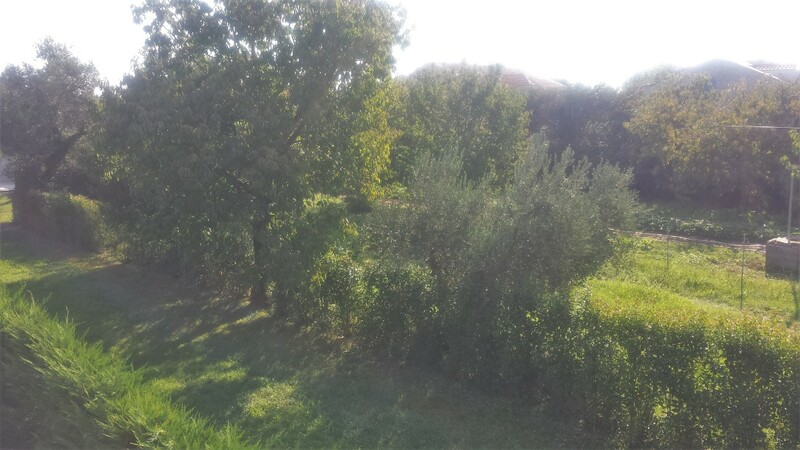 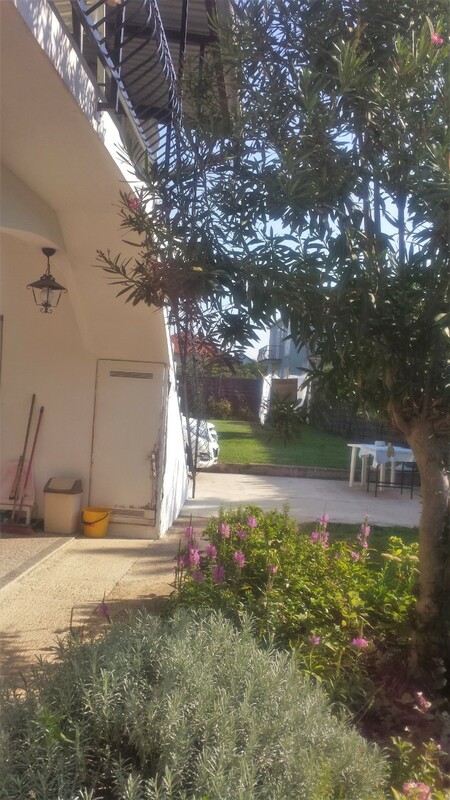 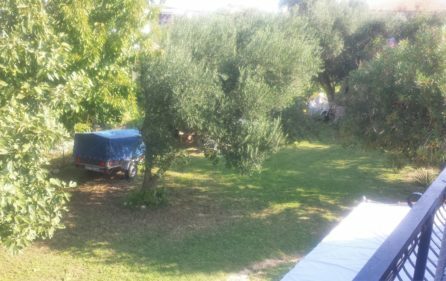 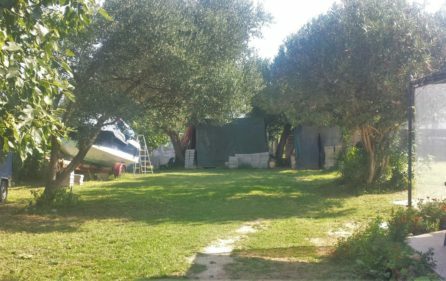 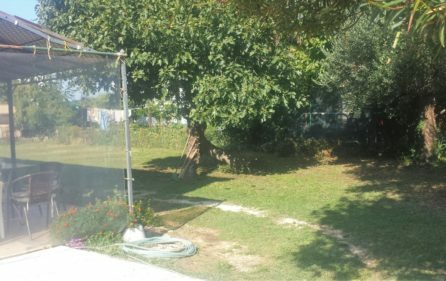 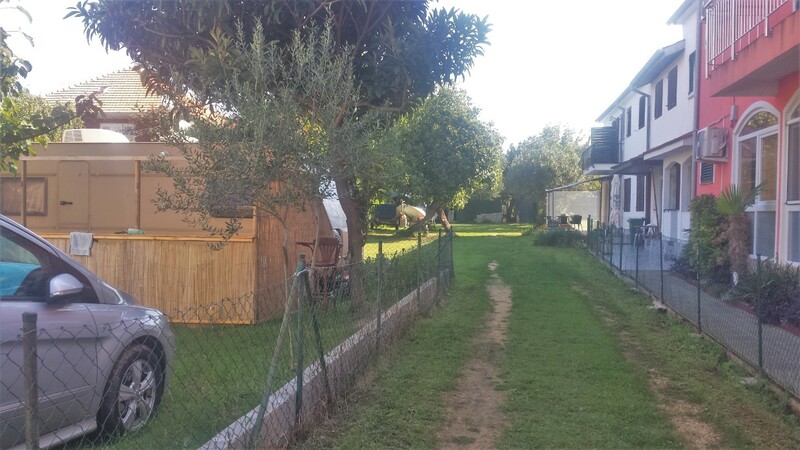 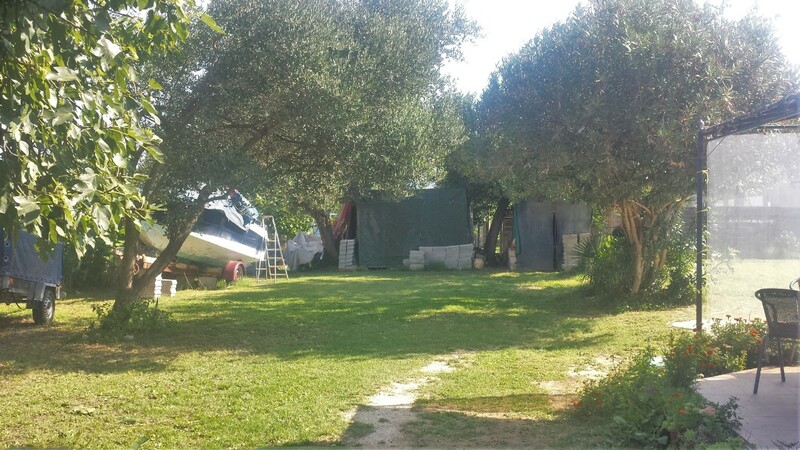 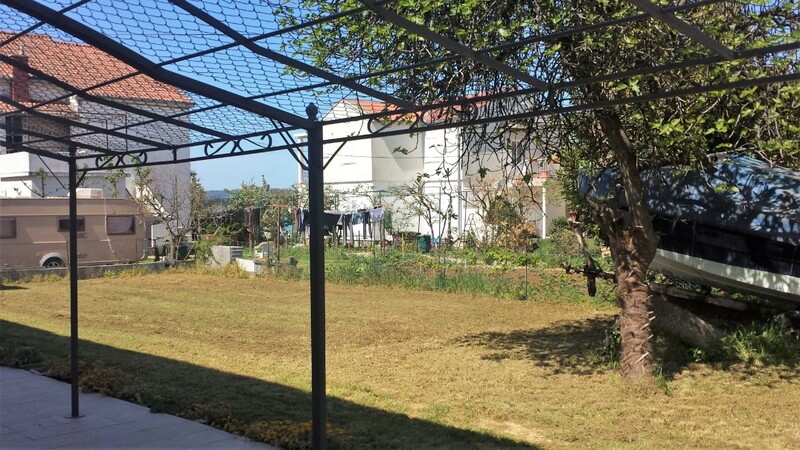 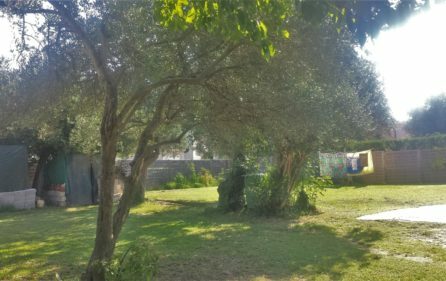 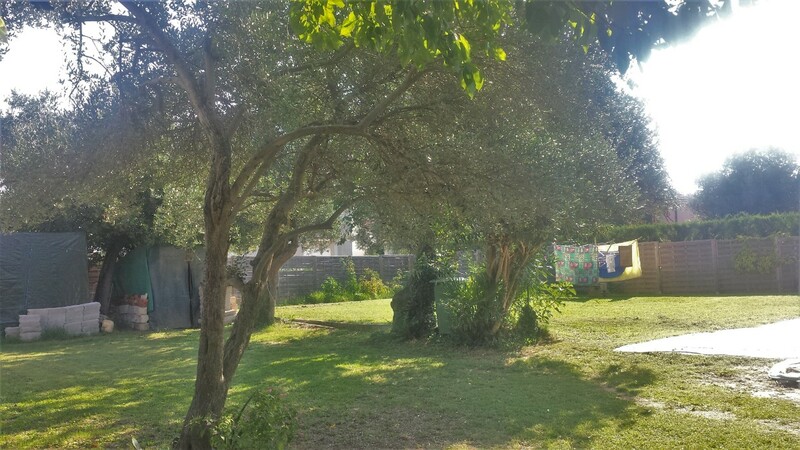 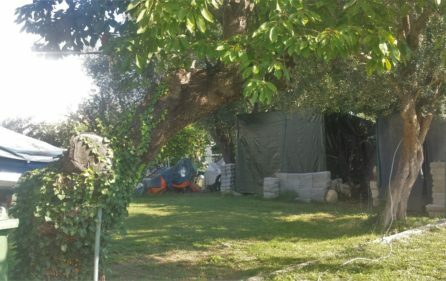 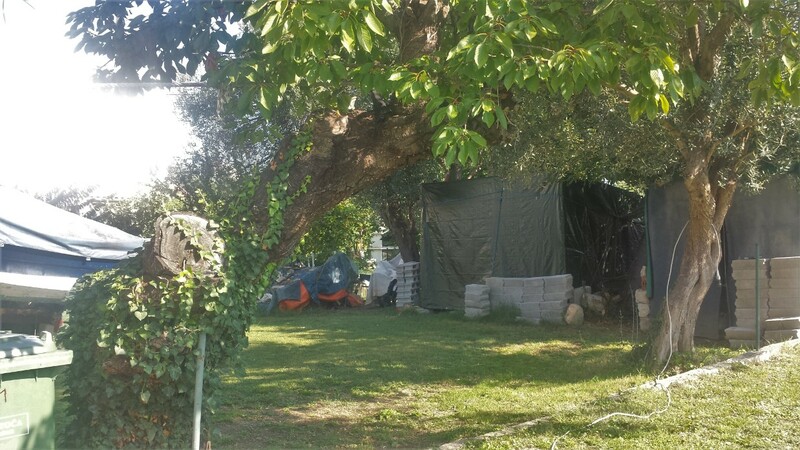 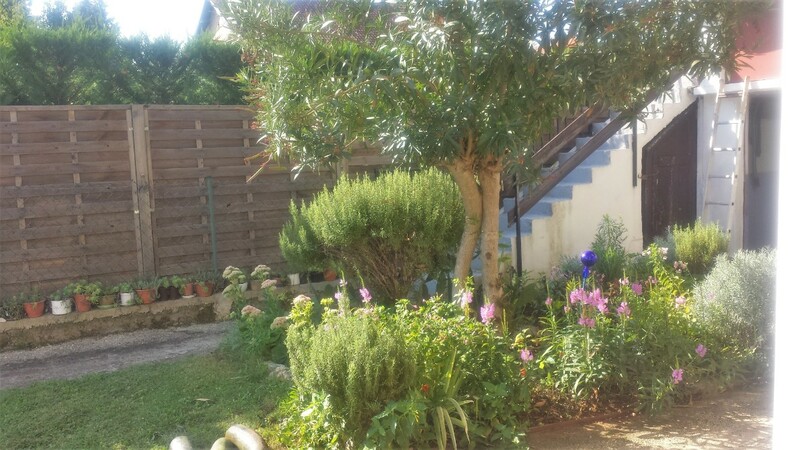 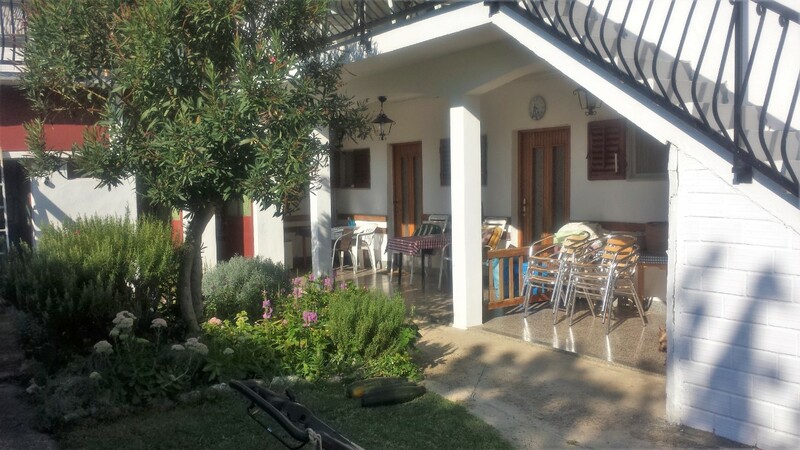 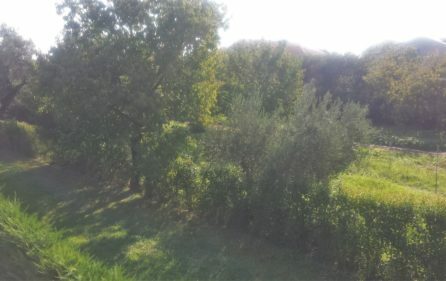 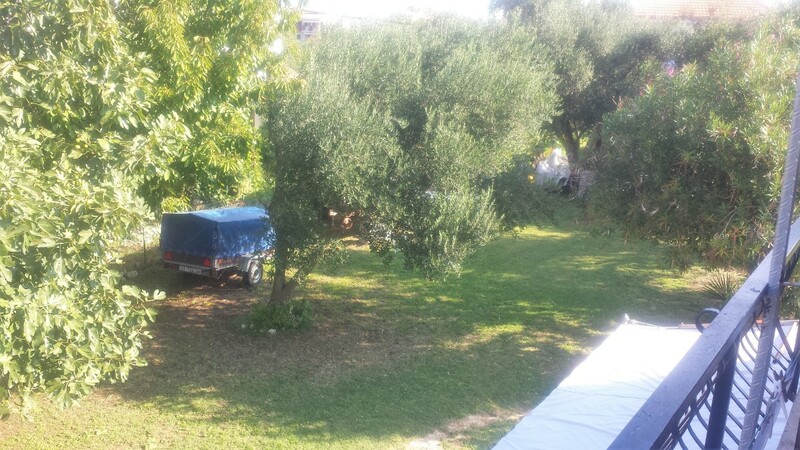 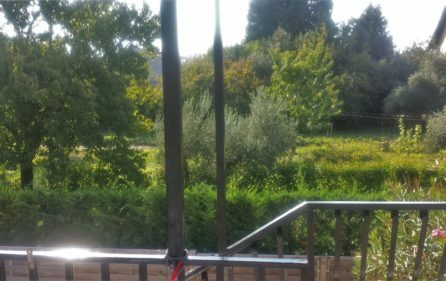 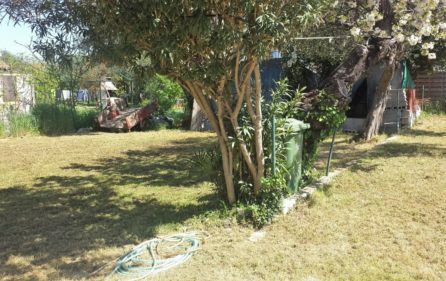 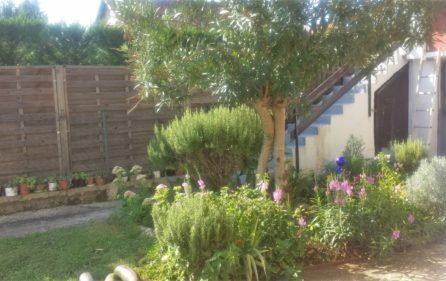 There is a large parking space for at least 8 cars and garden covered in grass and fruit trees (figs, cherry, and olives) that make shade in summer, so it is relaxing to be in the garden or have lunch in the shade, only 50 meters from the beach with direct private access to the beach. 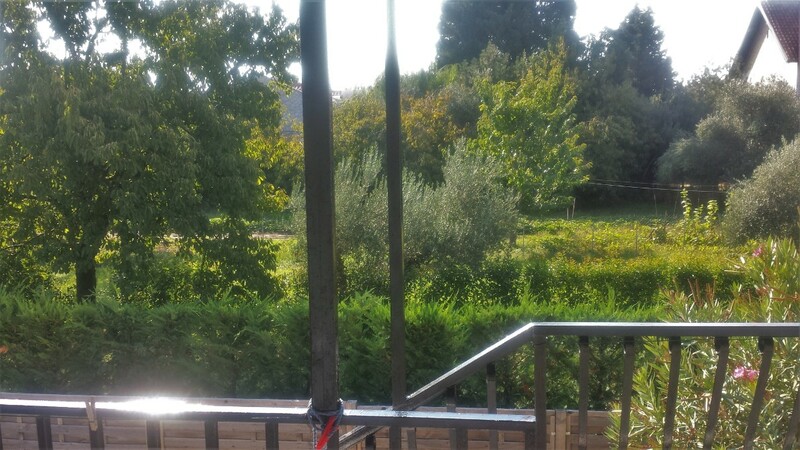 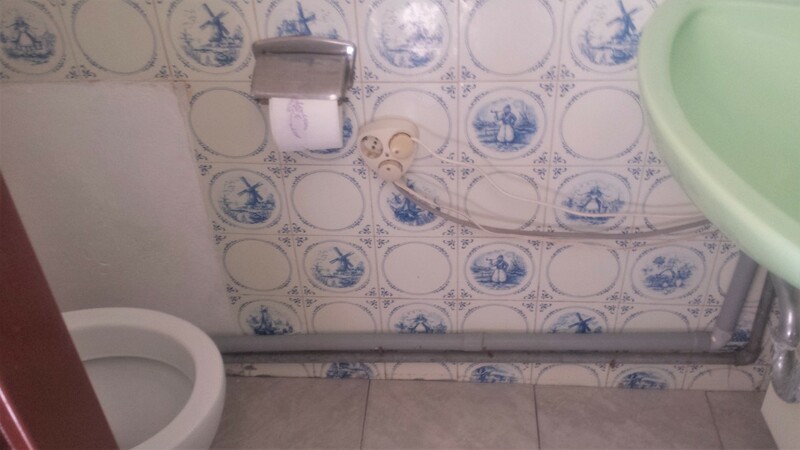 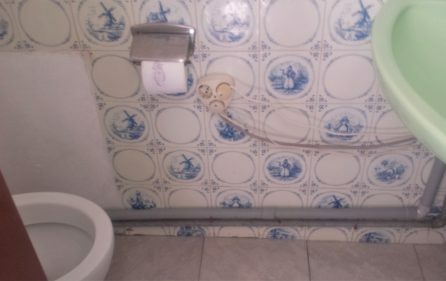 It is a very romantic atmosphere. 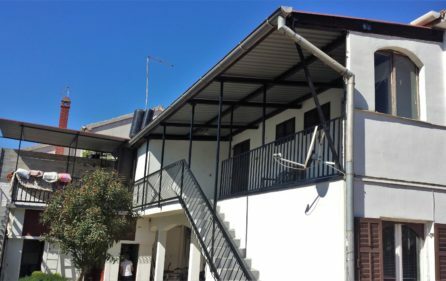 On the ground floor of this house, there are 3 apartments and a large terrace. 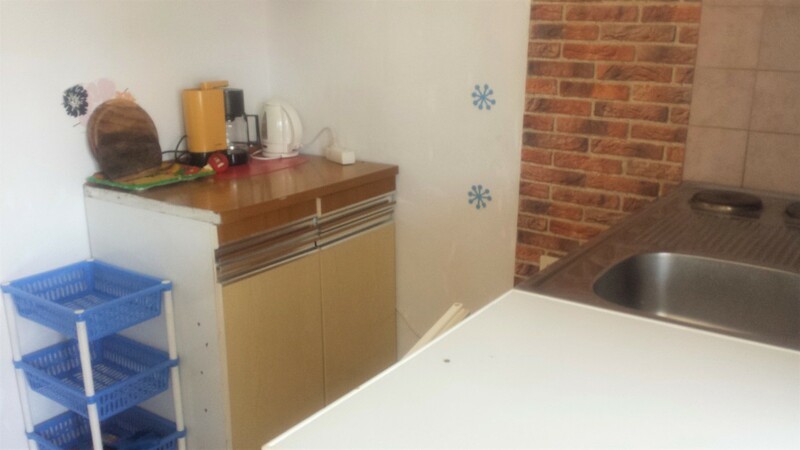 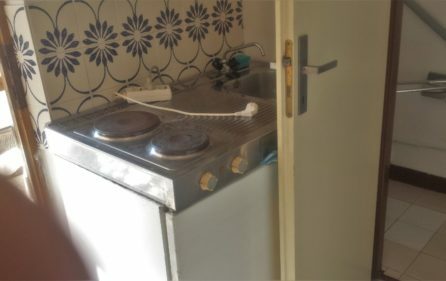 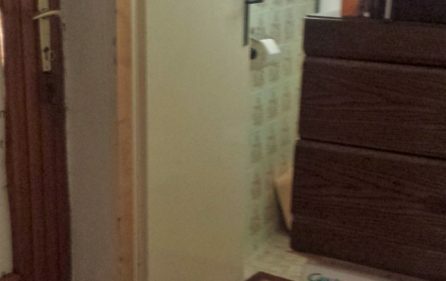 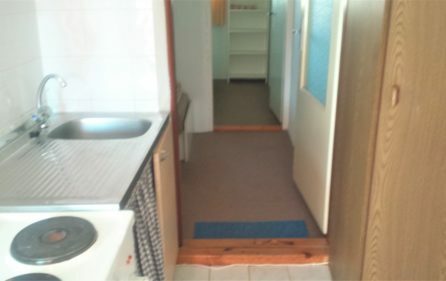 One apartment is studio and two apartments have separate bedrooms, living room with dining area and kitchen and bathroom. 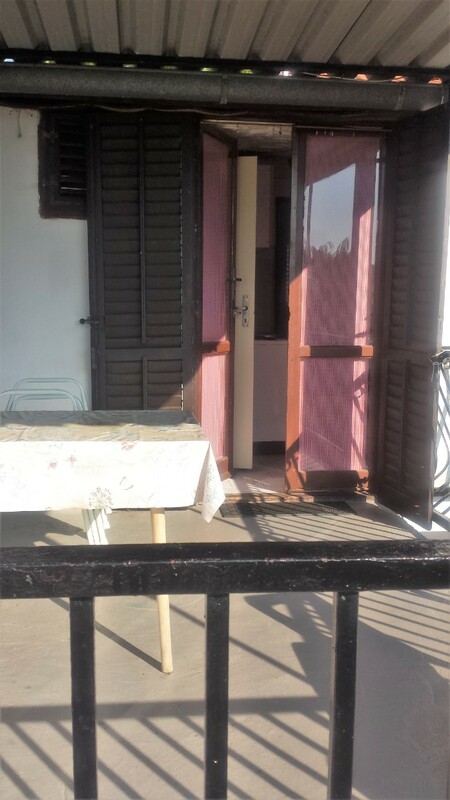 One apartment has an entrance from the terrace and from the garden. 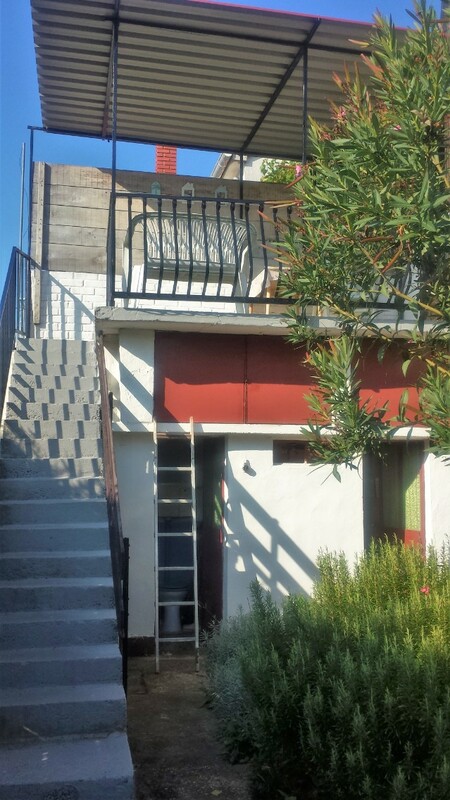 Outside stairs lead to the upper floor there are also 3 apartments and terrace. 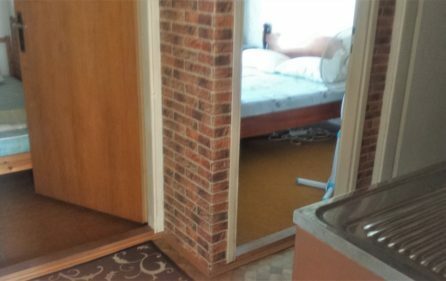 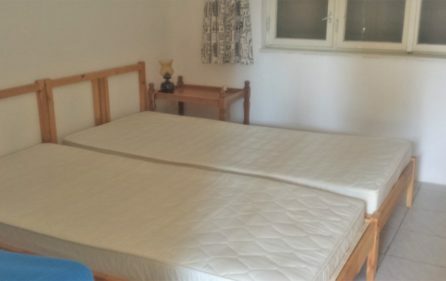 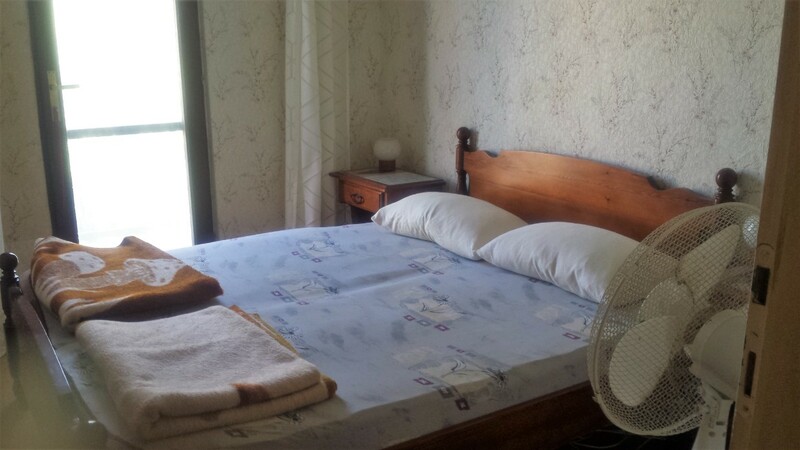 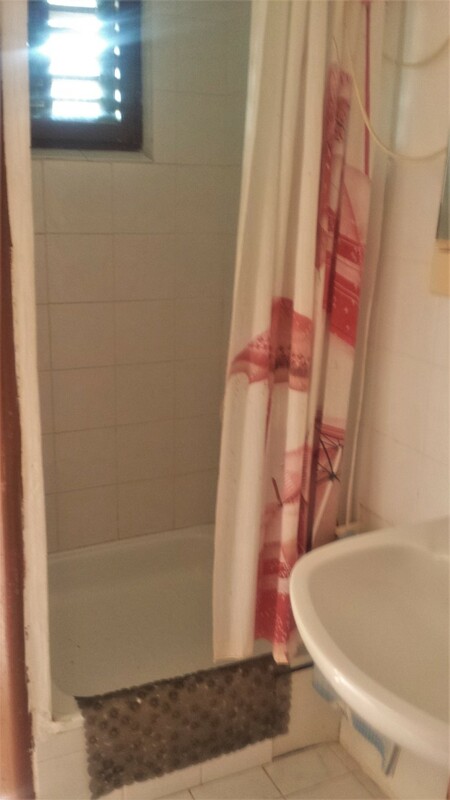 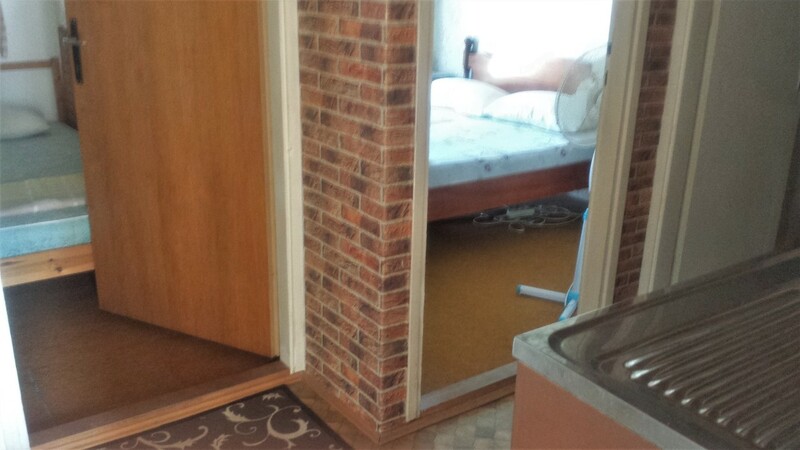 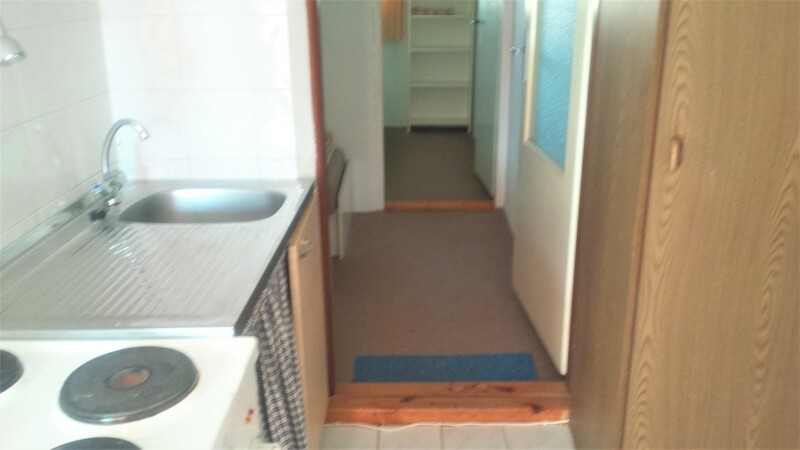 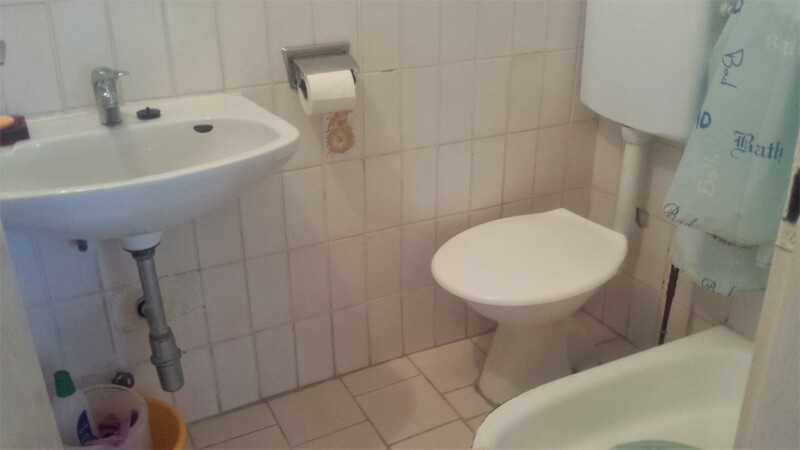 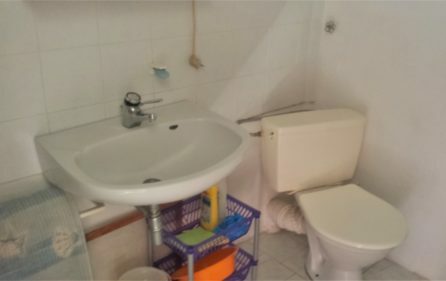 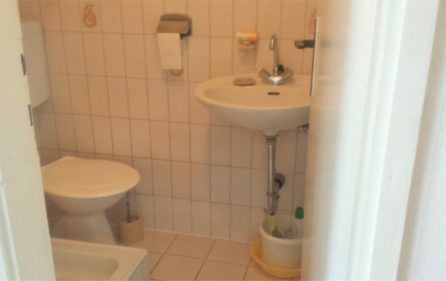 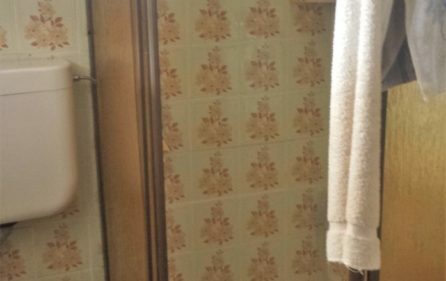 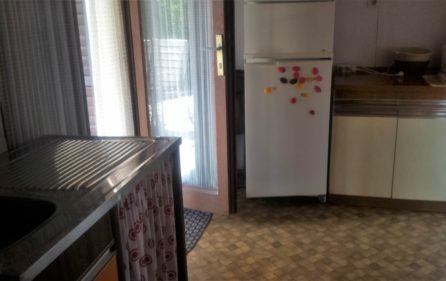 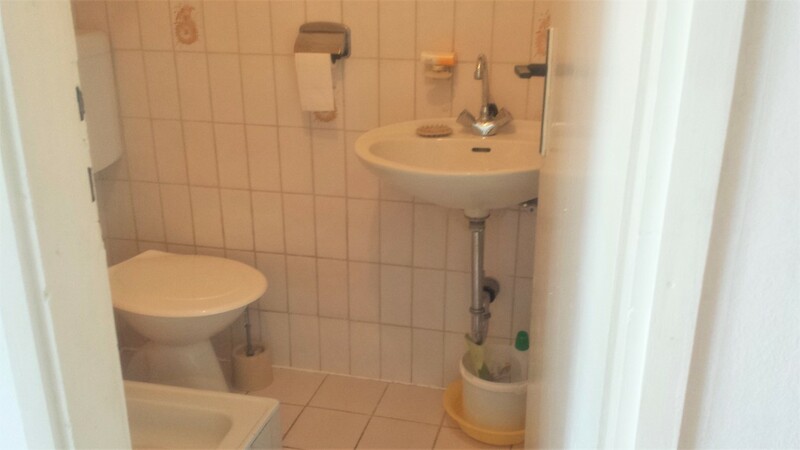 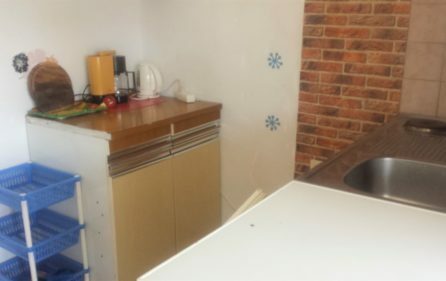 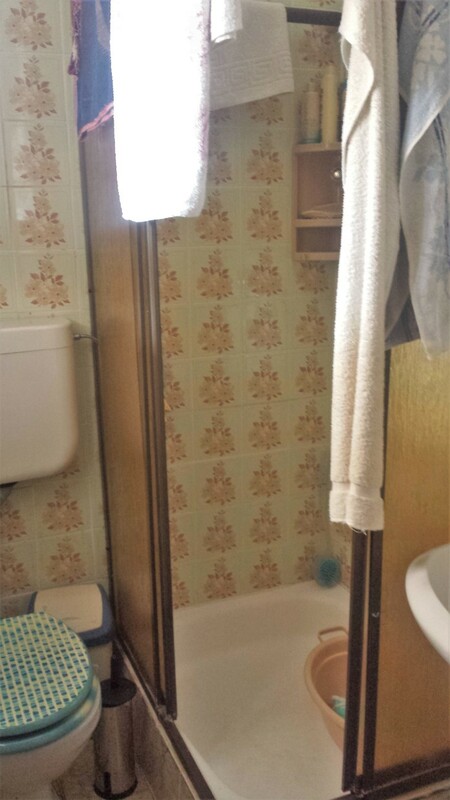 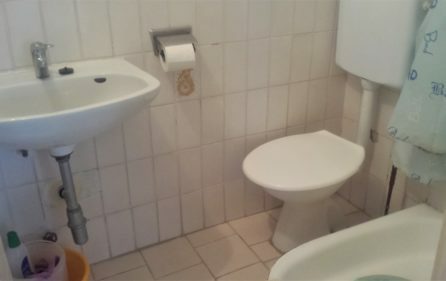 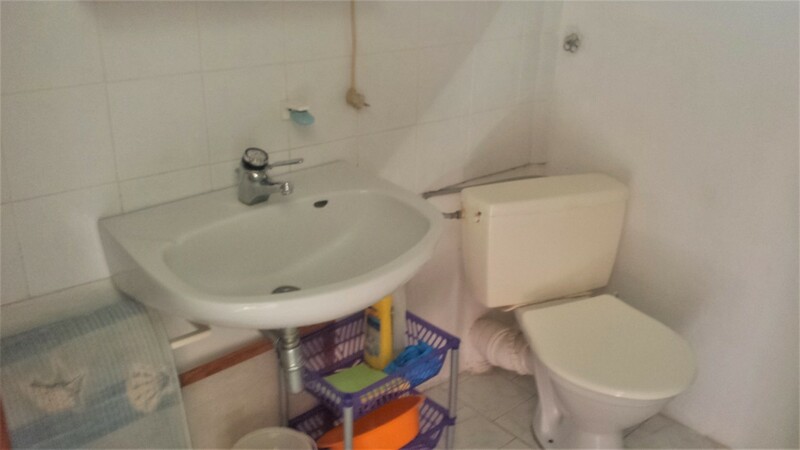 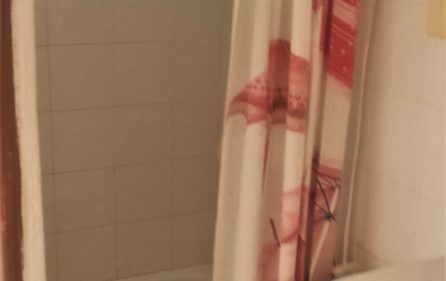 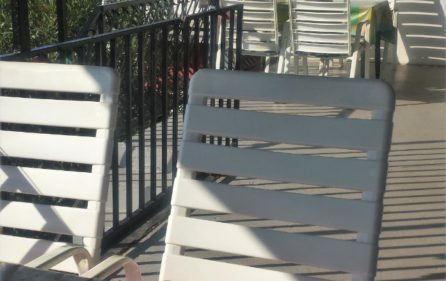 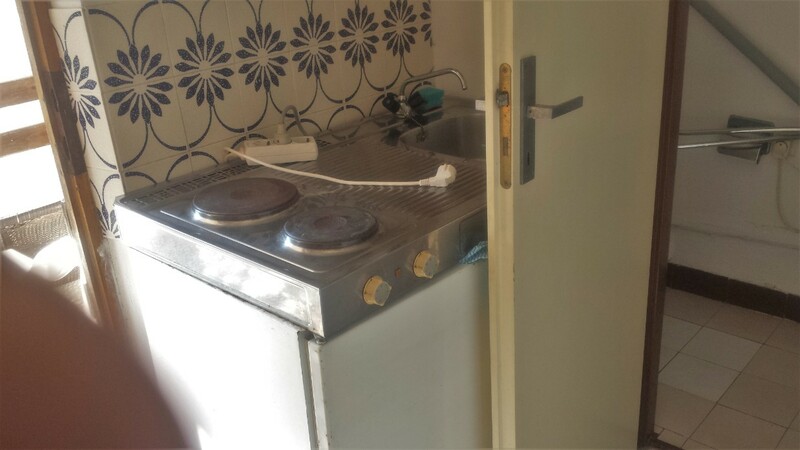 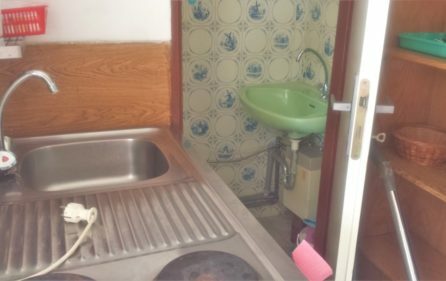 There are two apartments that have two bedrooms each, and the third apartment has one bedroom. 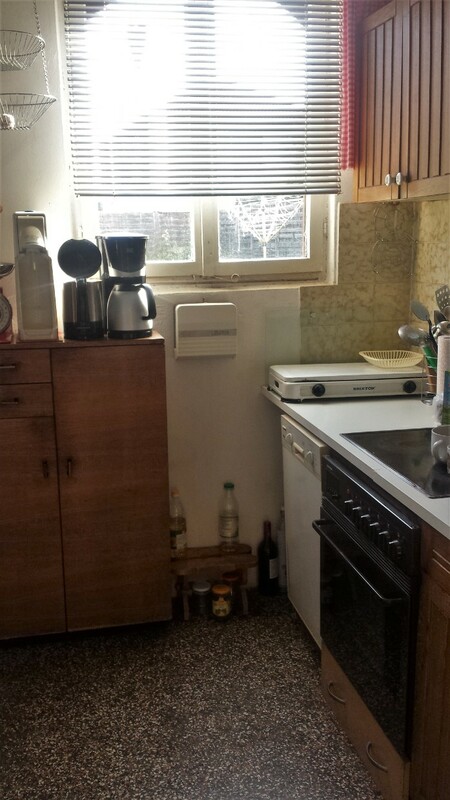 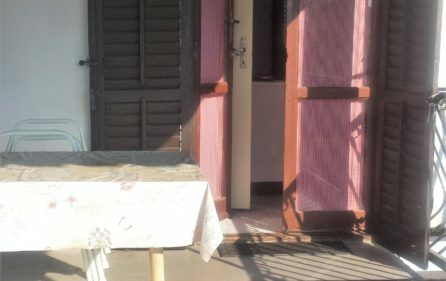 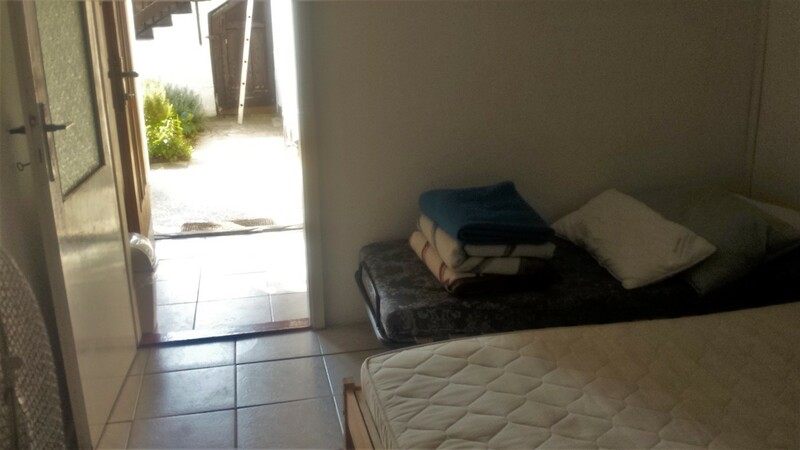 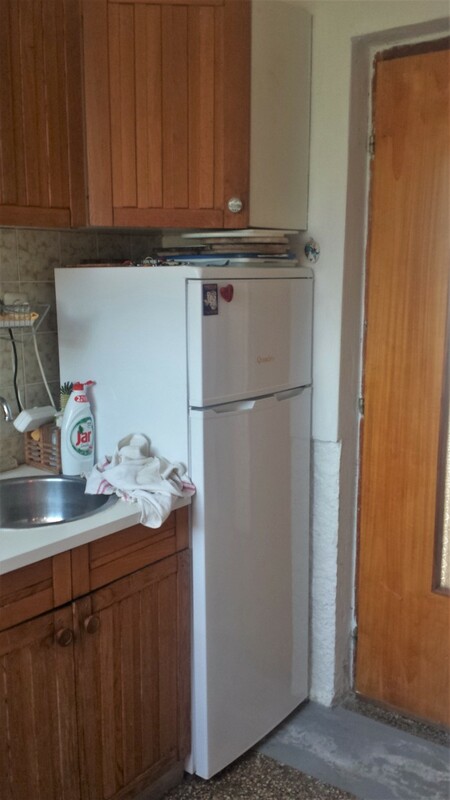 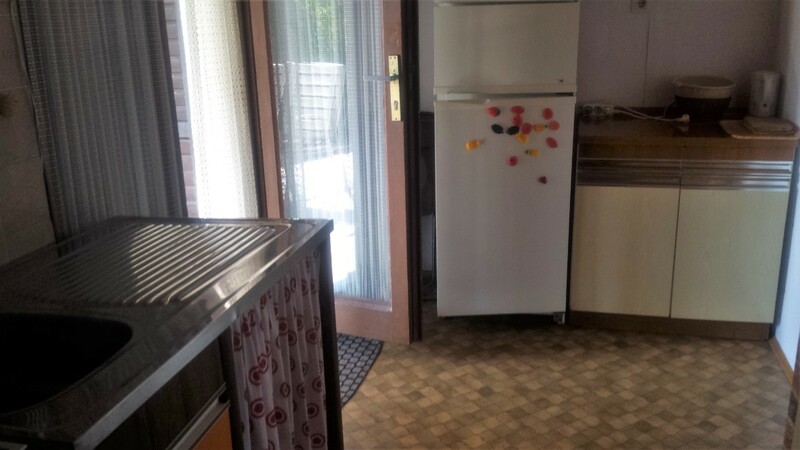 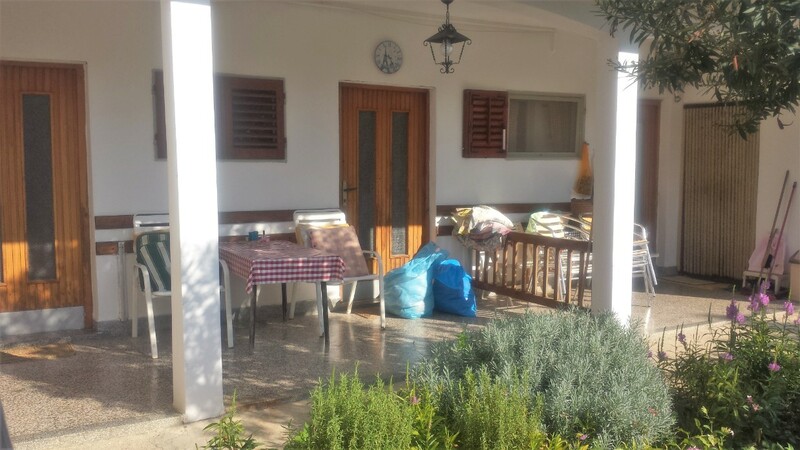 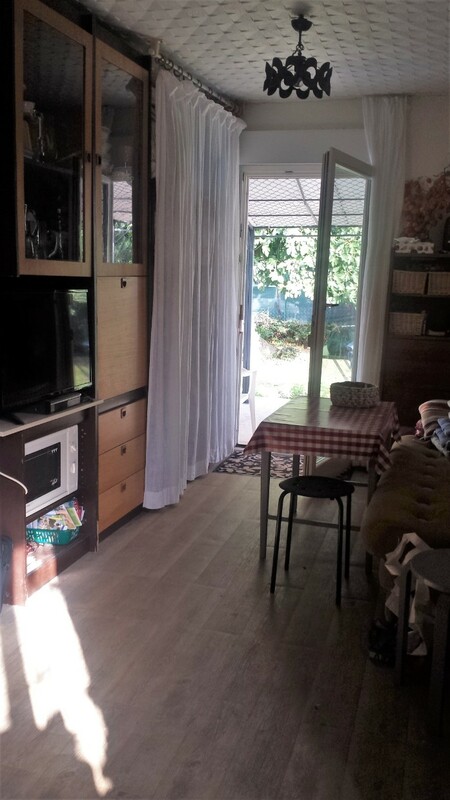 House needs some renovation (new shutters and windows and doors, new furniture). 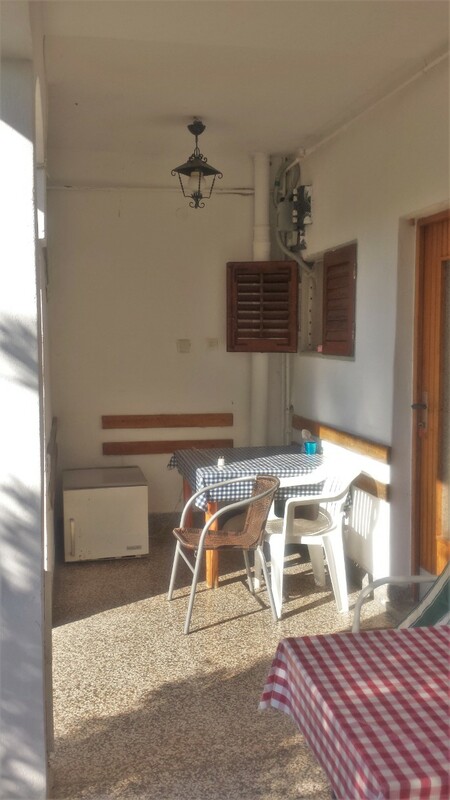 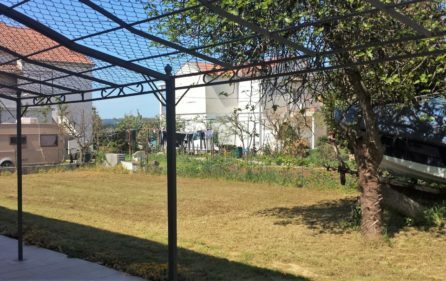 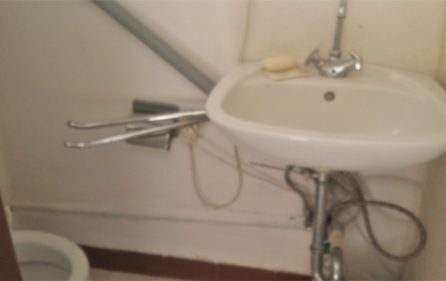 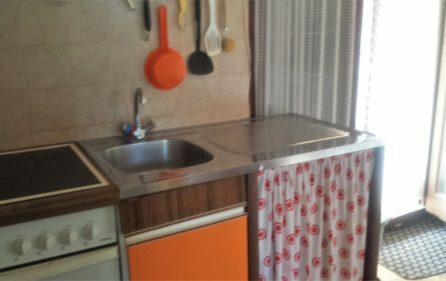 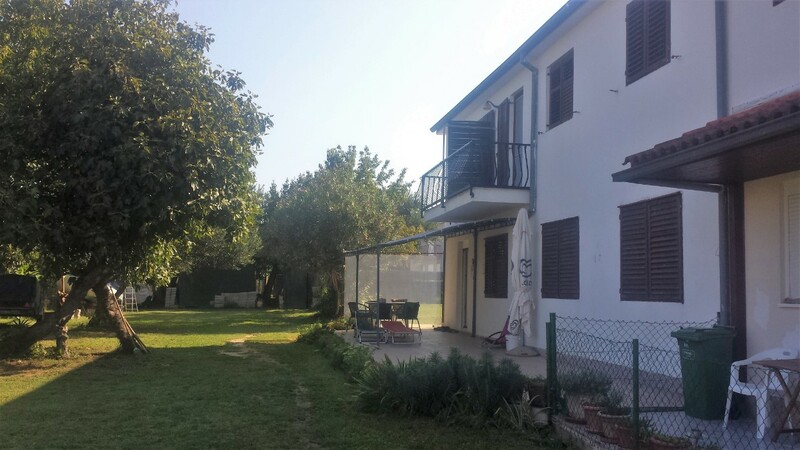 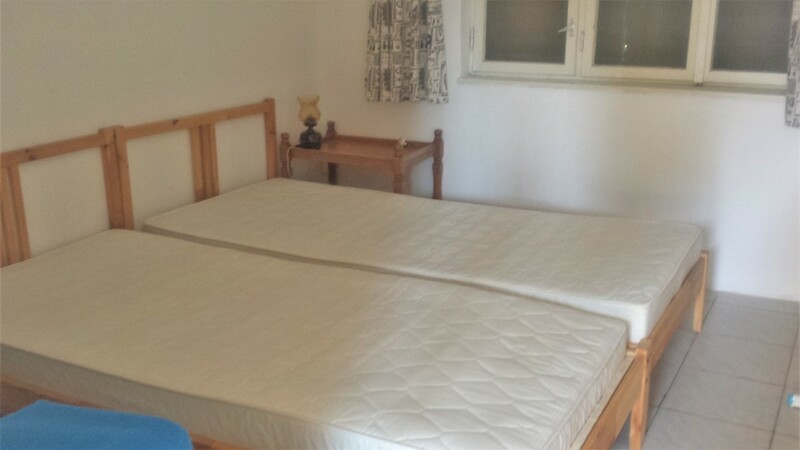 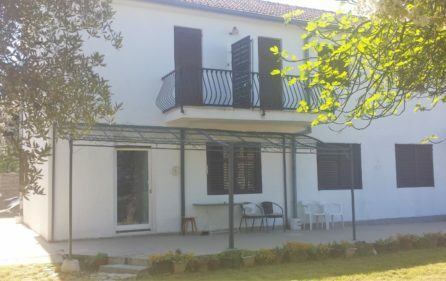 House has great rental potential, with some improvements and pool, this can be luxury villa with pool for rent where the price per day could be at least 800 euro in the peak season of July and August. 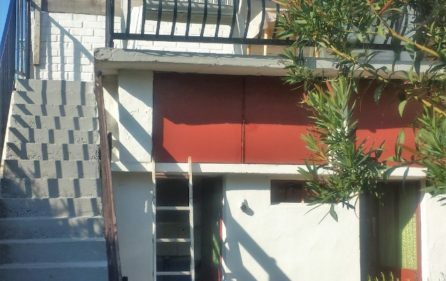 It is also possible to build one more floor therefore to expand the existing house, but also to build another house or expand existing house in footprint. 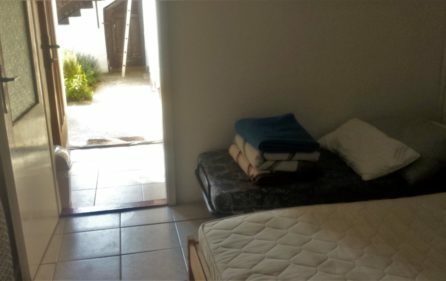 It is possible to build more living space (villa or apartments). 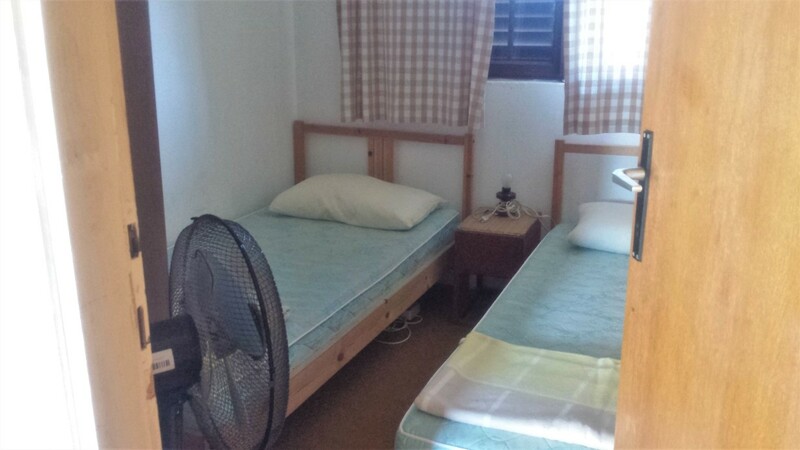 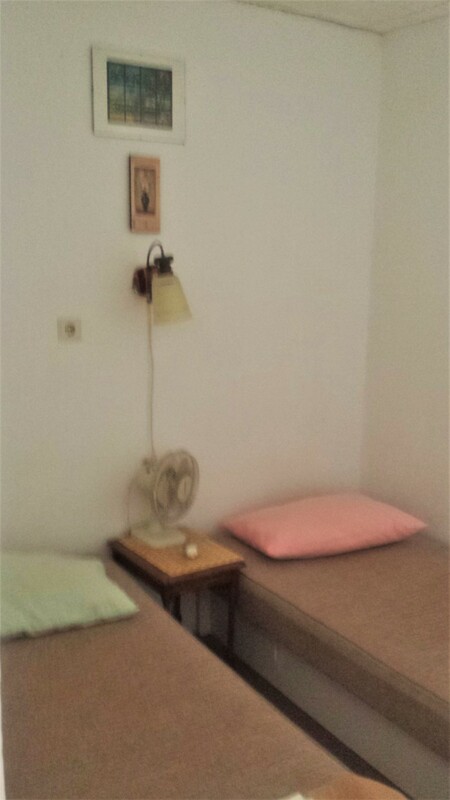 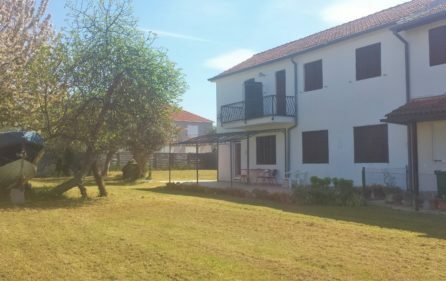 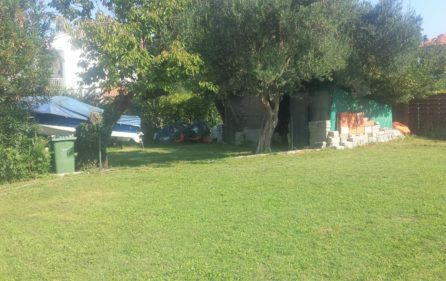 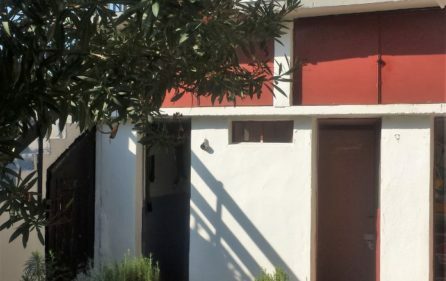 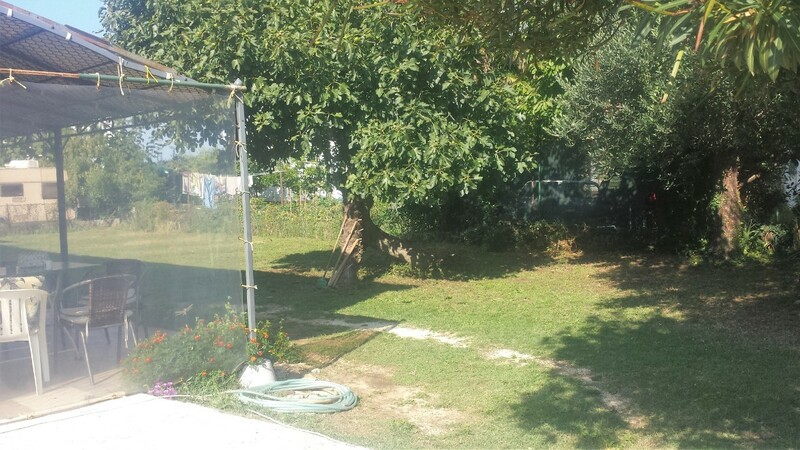 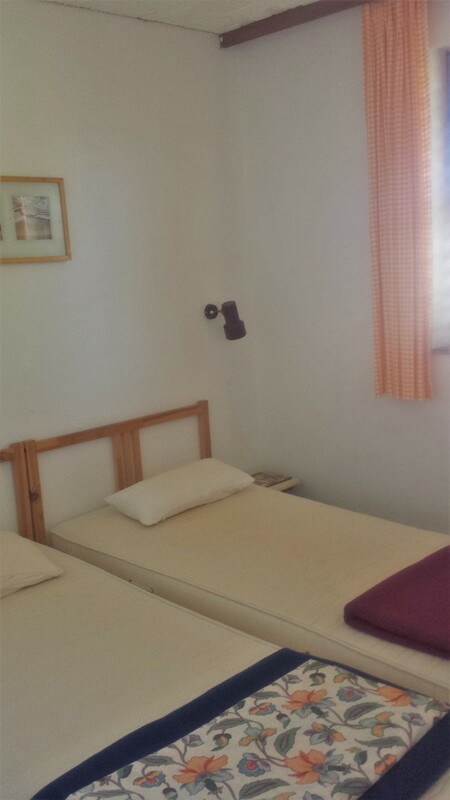 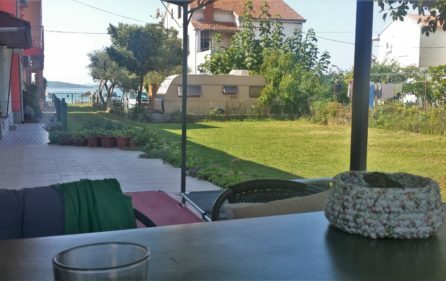 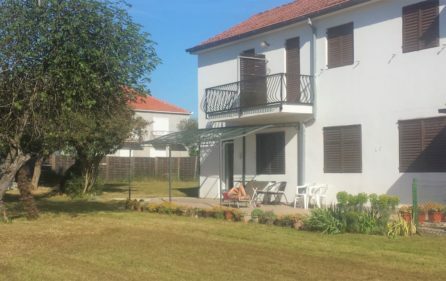 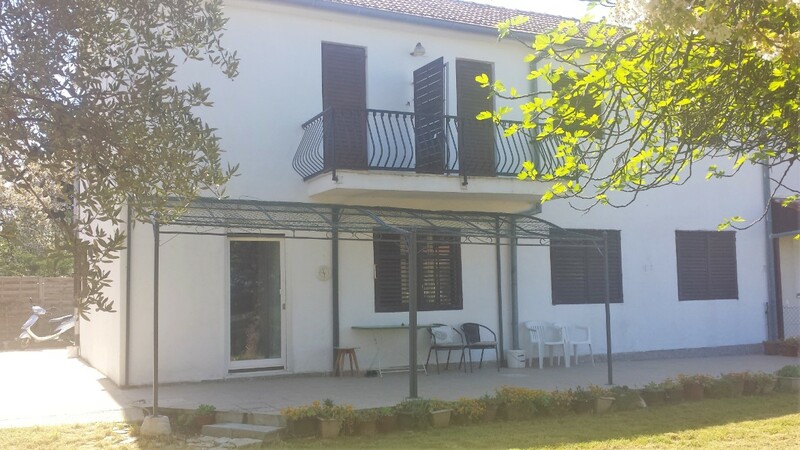 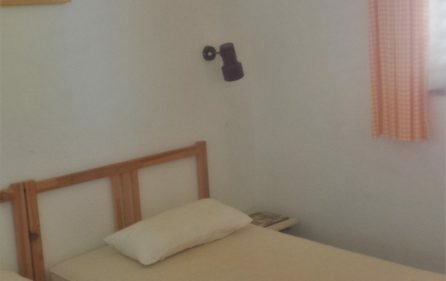 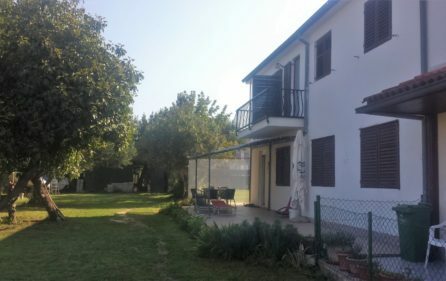 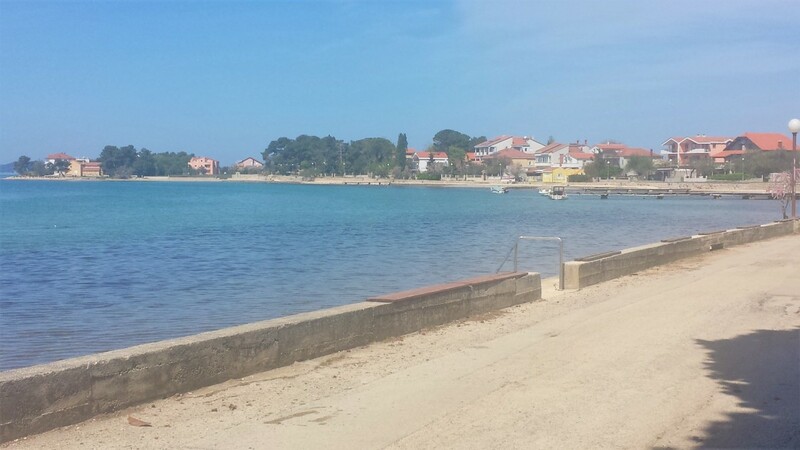 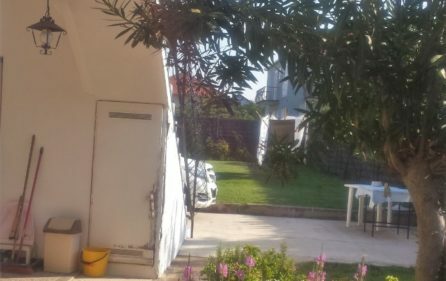 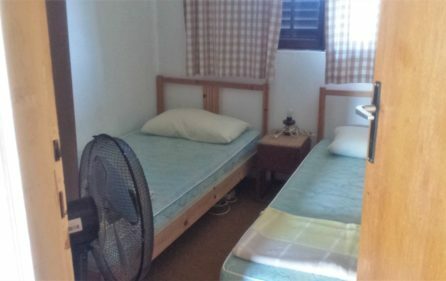 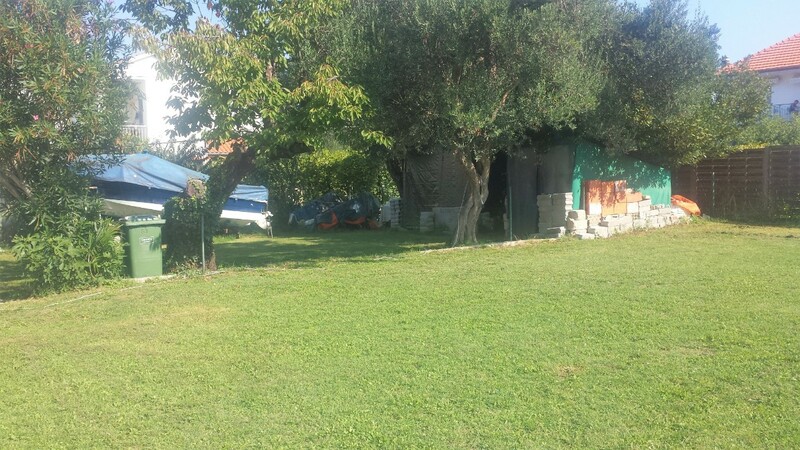 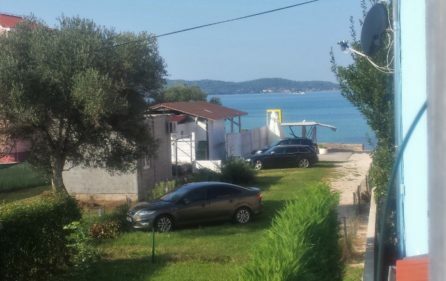 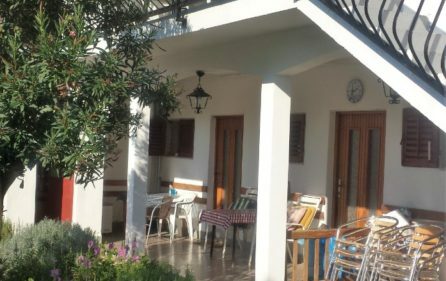 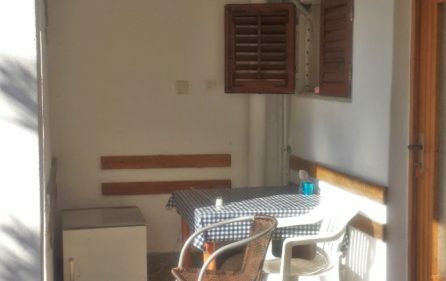 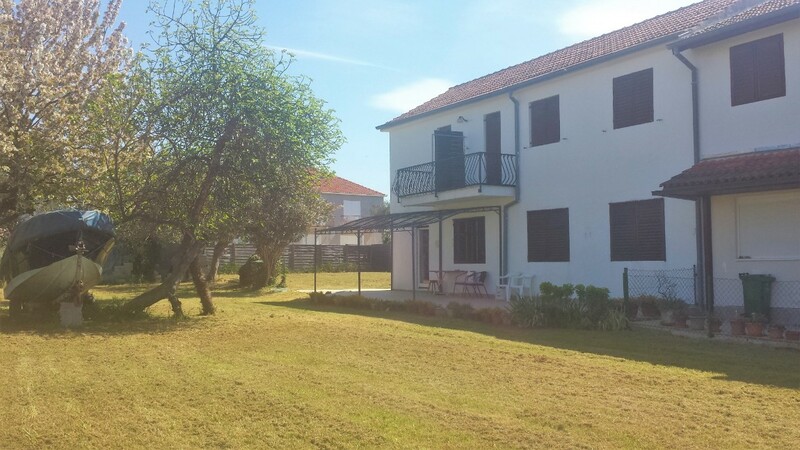 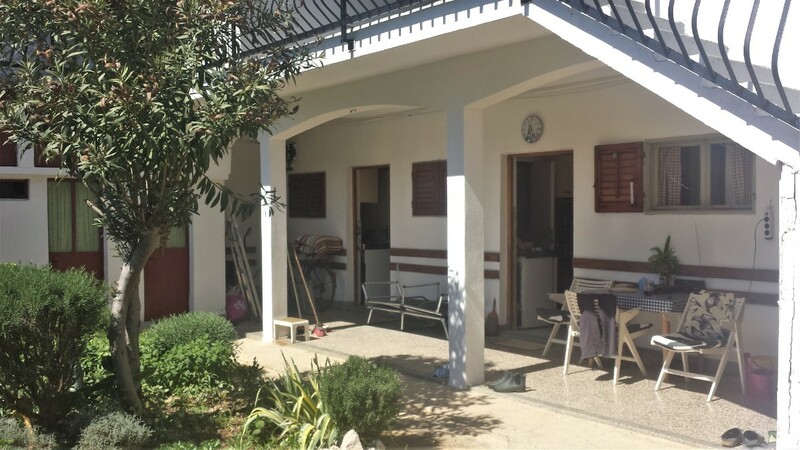 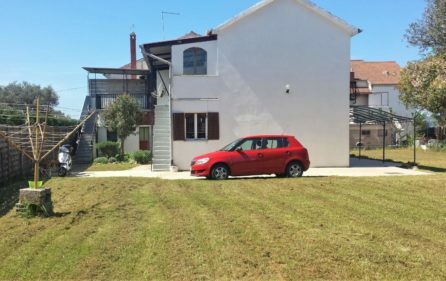 Location of this house is what is worth, as Sukosan is a popular tourist beach destination, few kilometers from Zadar (close to the Zadar airport as well). 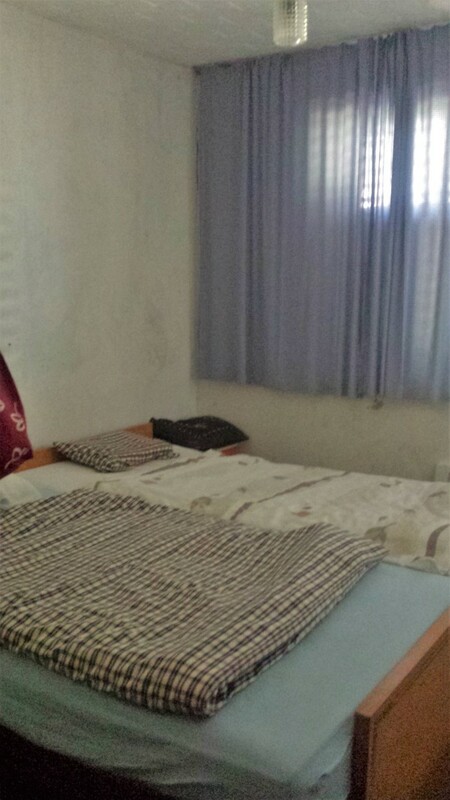 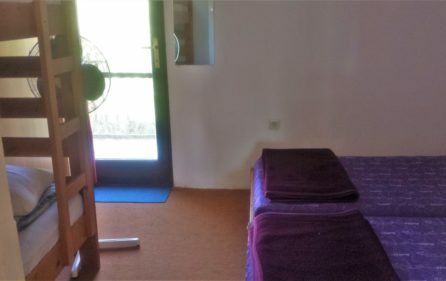 This house is in the central part of Sukosan, and only 30 meters to the pebble beach with private beach access from the house, and with 1136 m2 of land that has potential to give more than 800 m2 of constructed building, which purpose can be to produce profit from rental business (this could be 80-100 000 euro per season or more, depending on the type of rental accommodation) or from sale of new apartments (in this area price is above 2500 euro per sqm of apartment for sale). 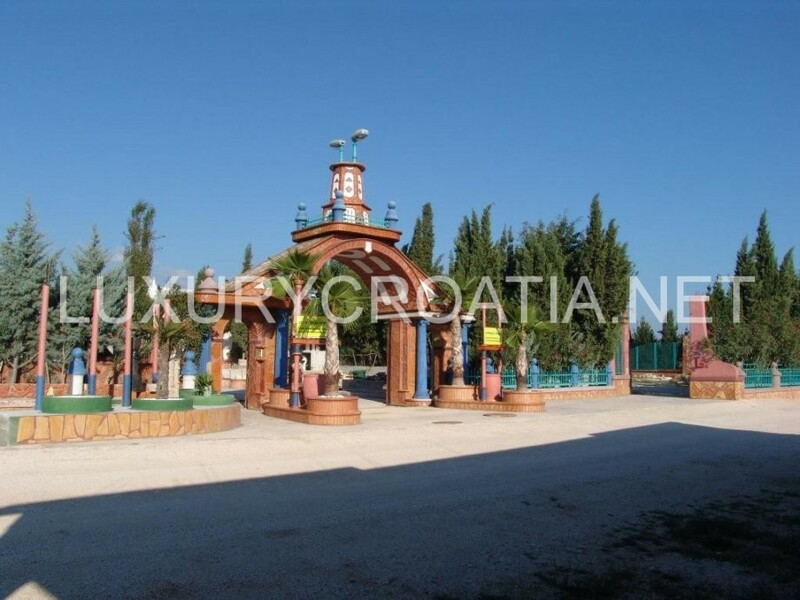 We are able to calculate precisely rental income and advise about all aspects of the rental business as we are also rental agency specialized in renting of luxury villas. 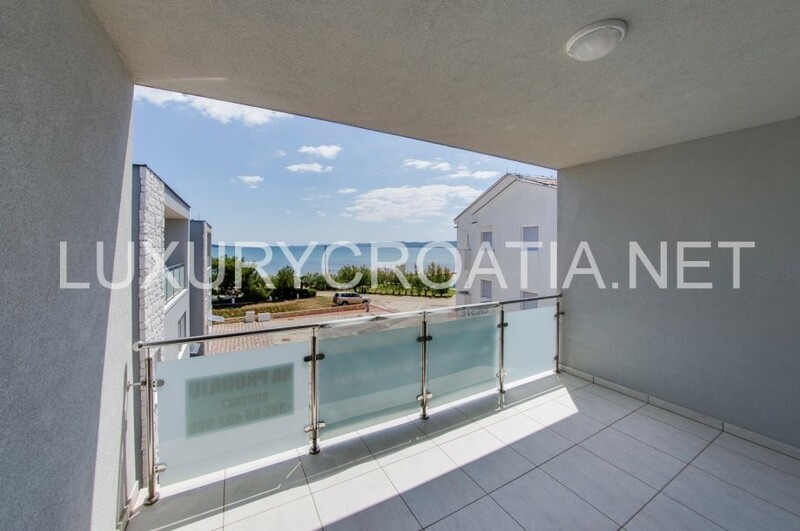 IF you want to know about buying procedure in Croatia click here: Buying property in Croatia – costs and fees.